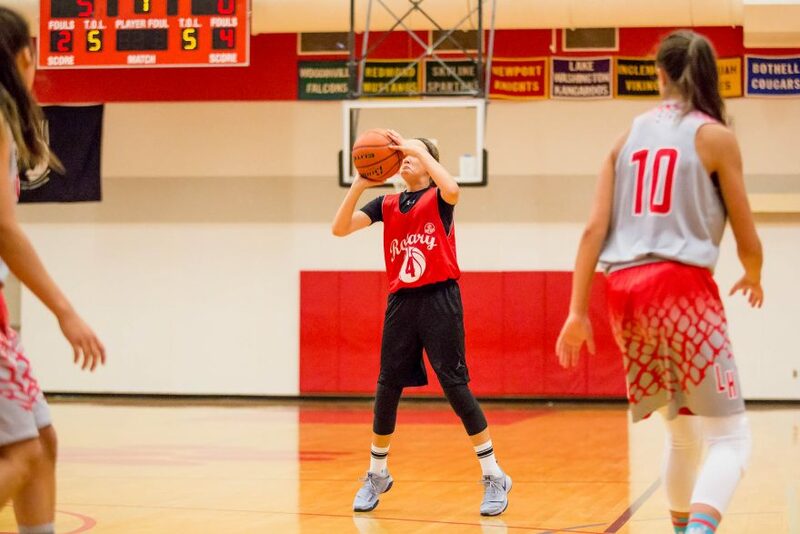 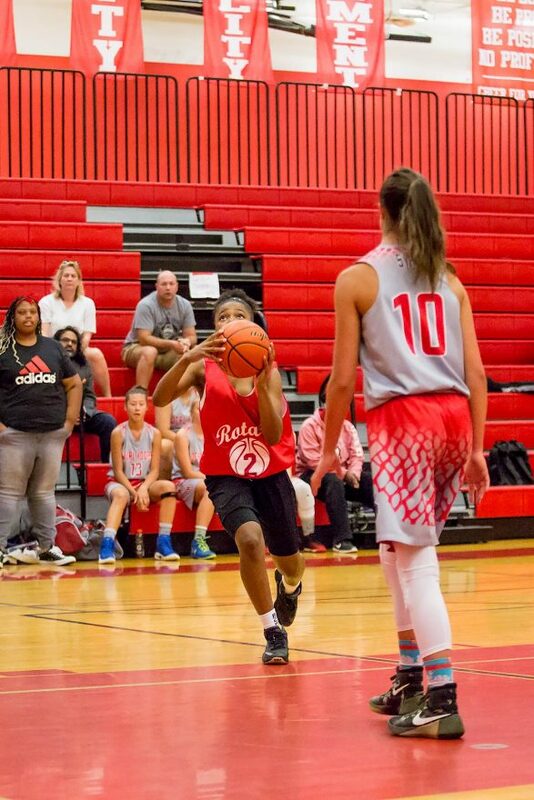 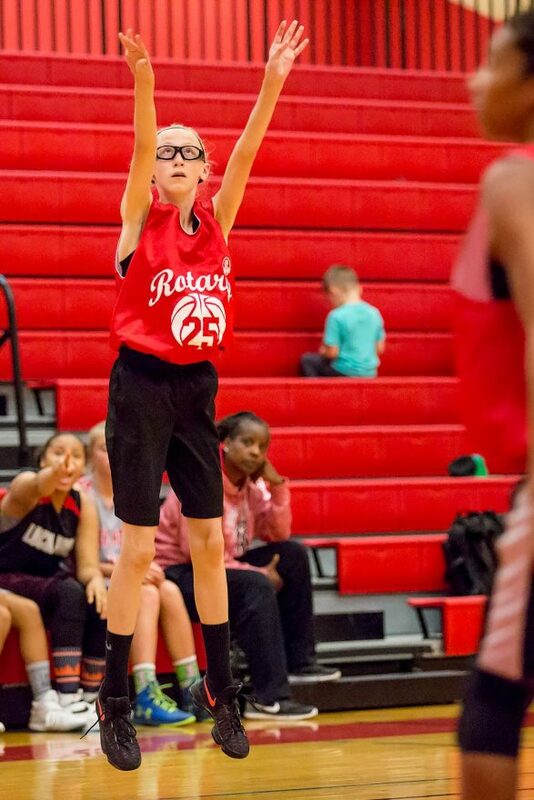 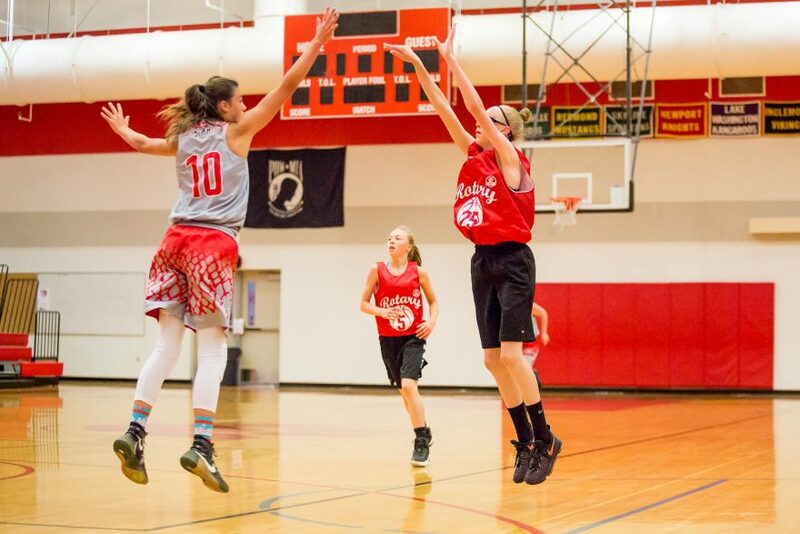 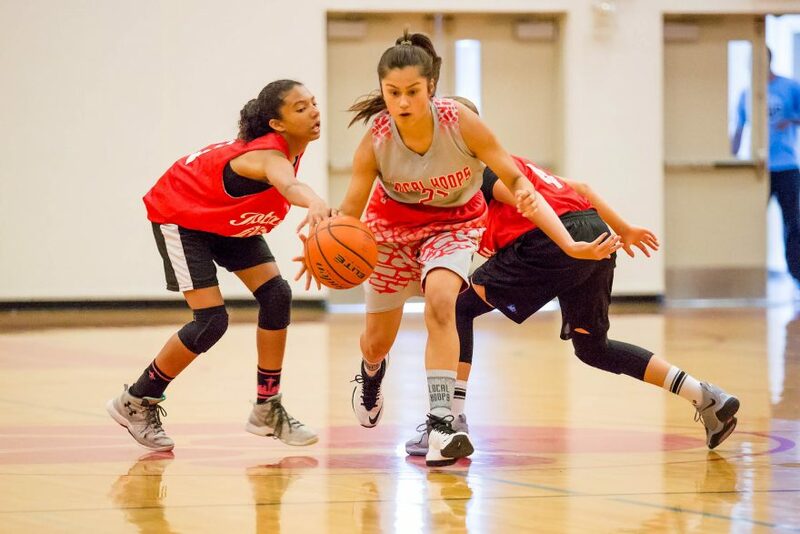 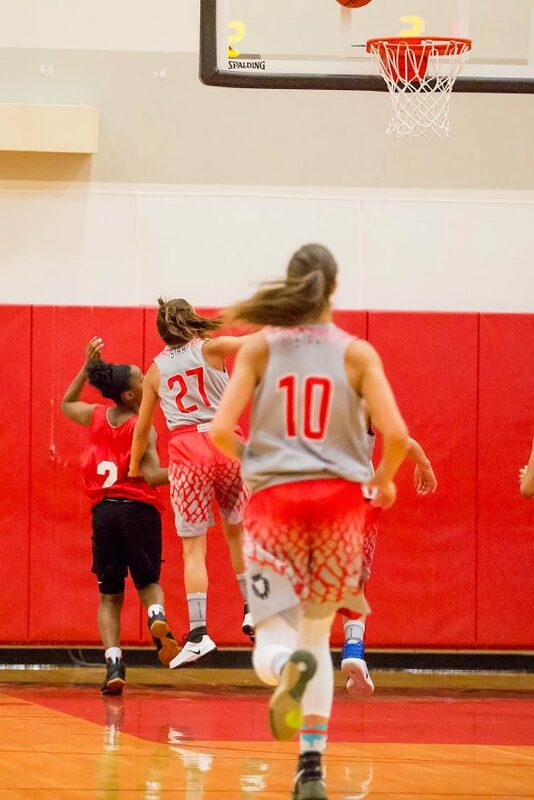 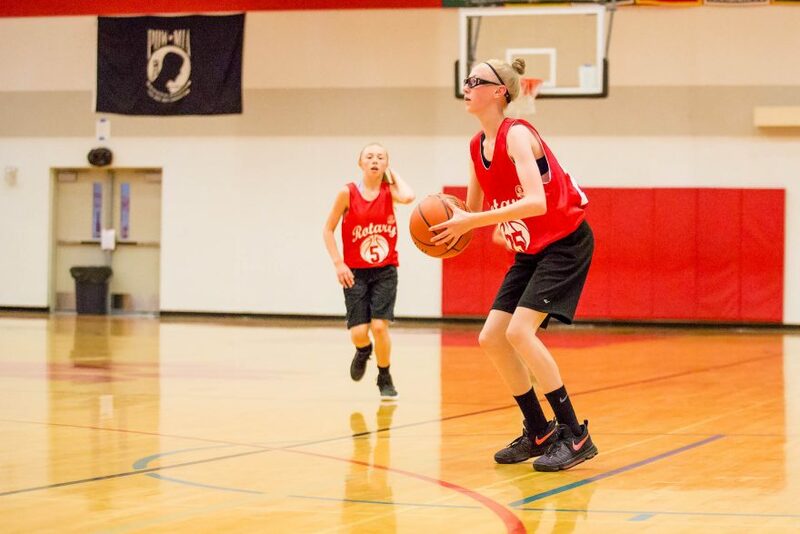 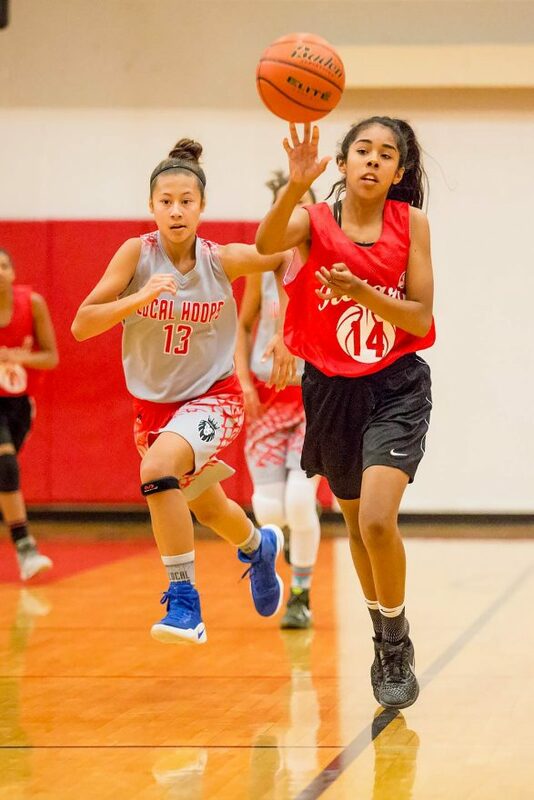 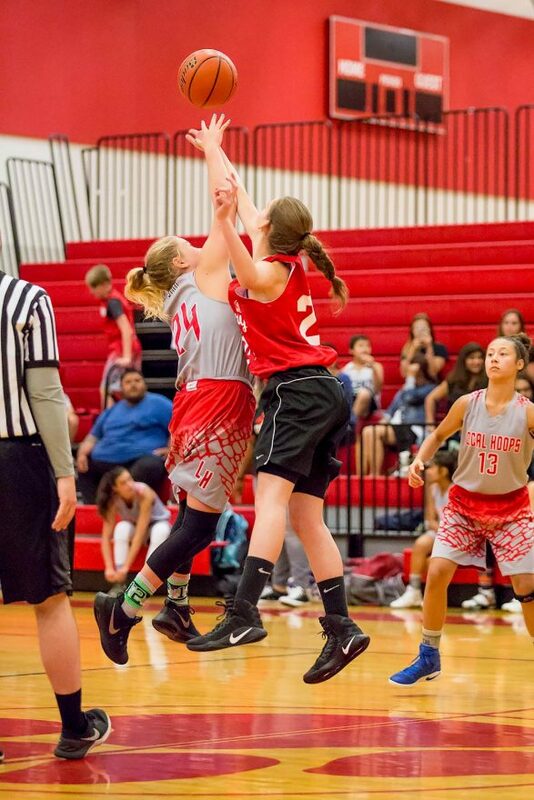 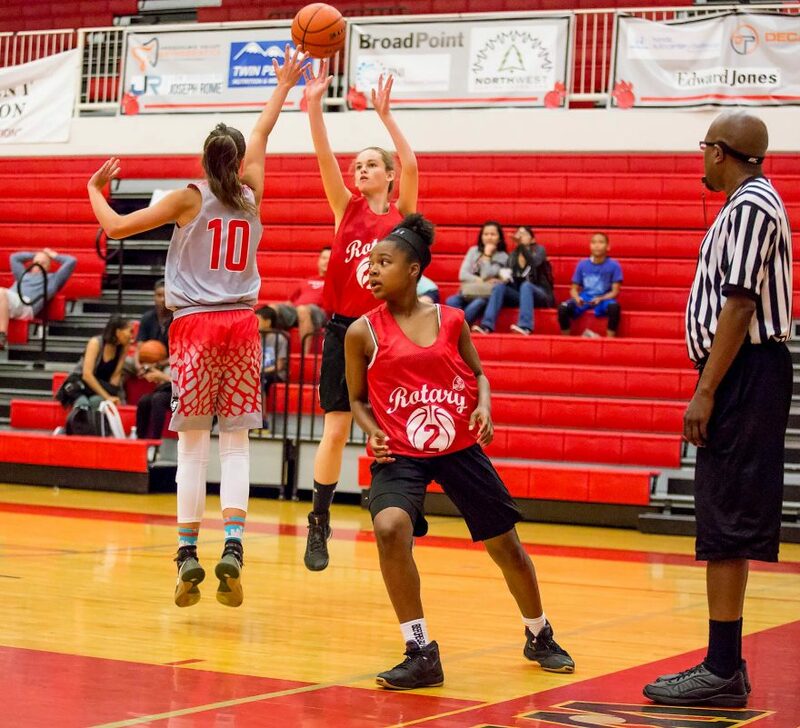 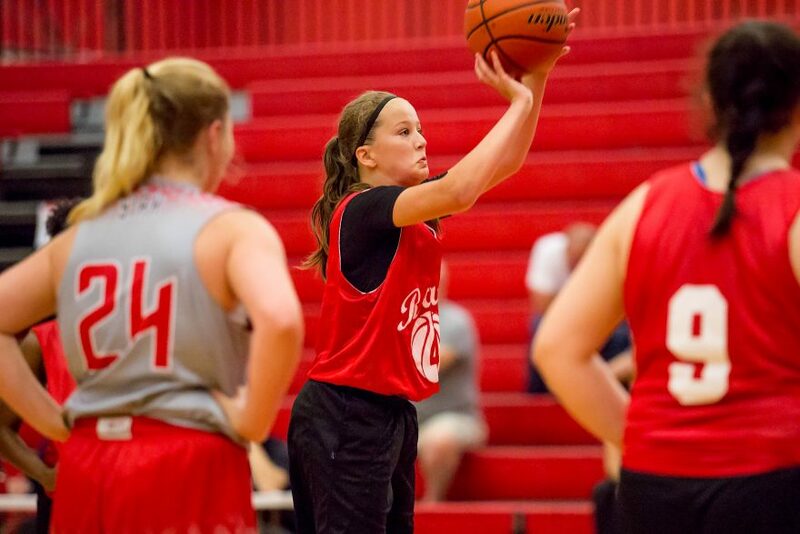 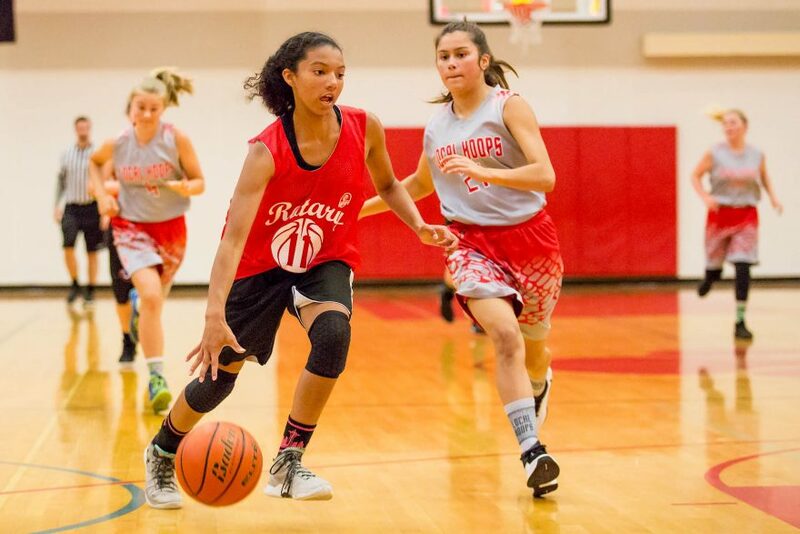 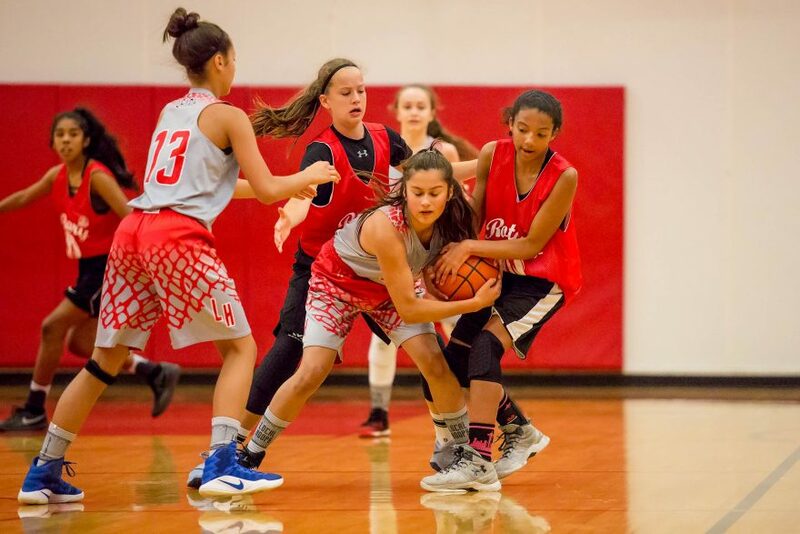 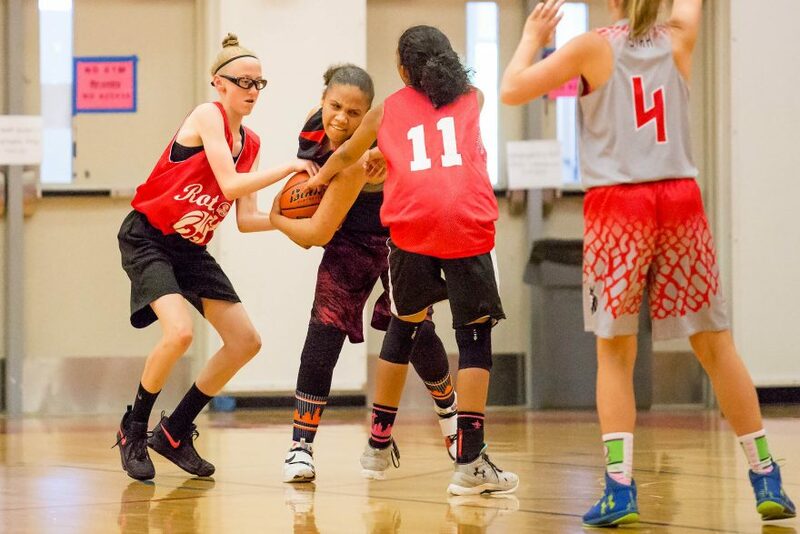 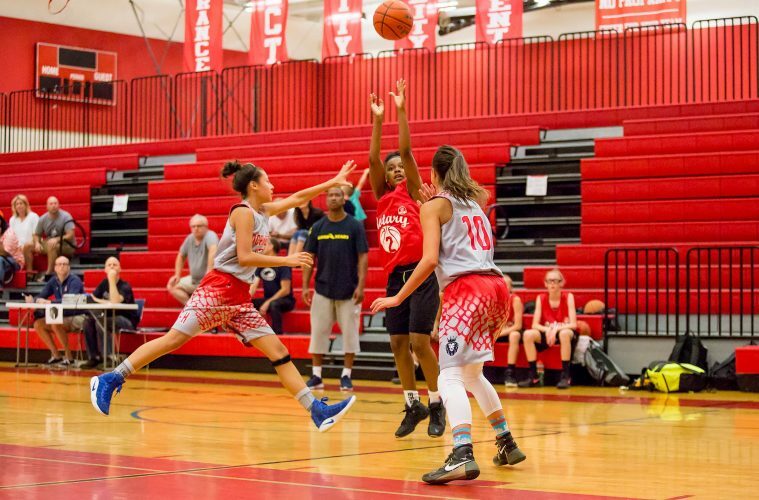 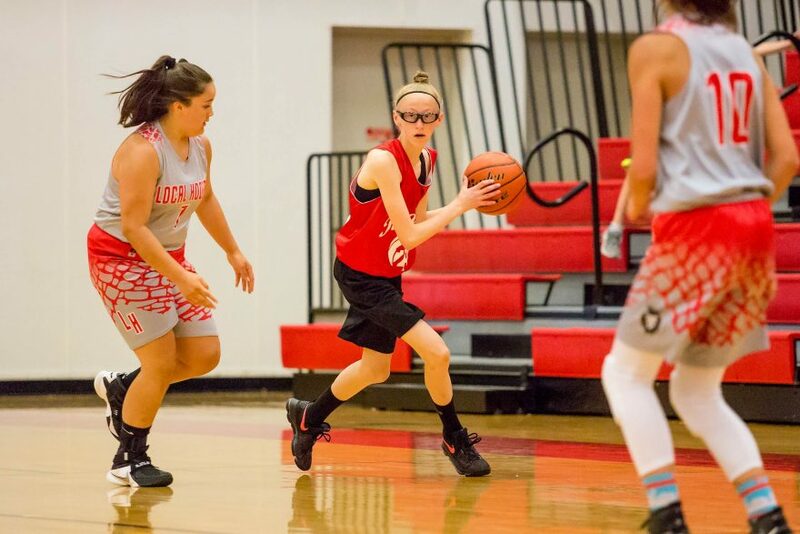 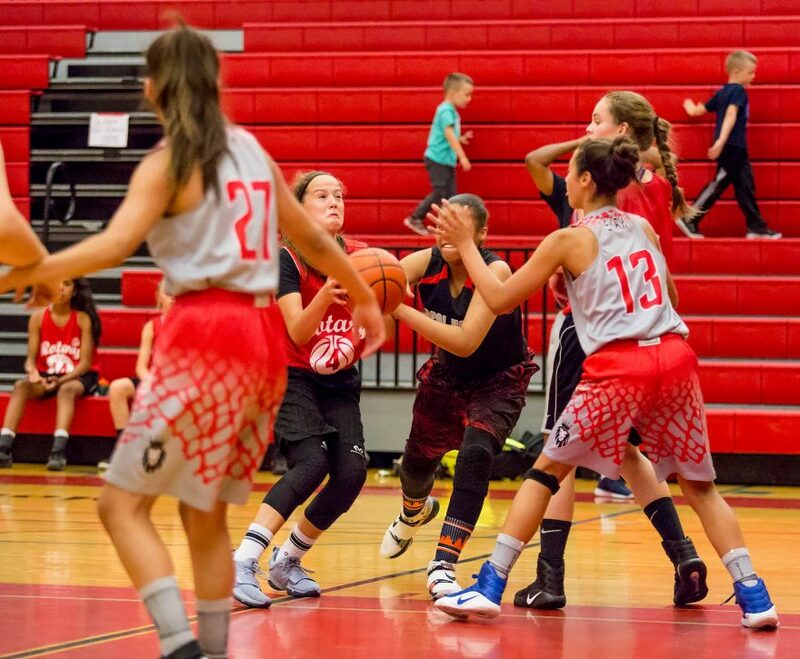 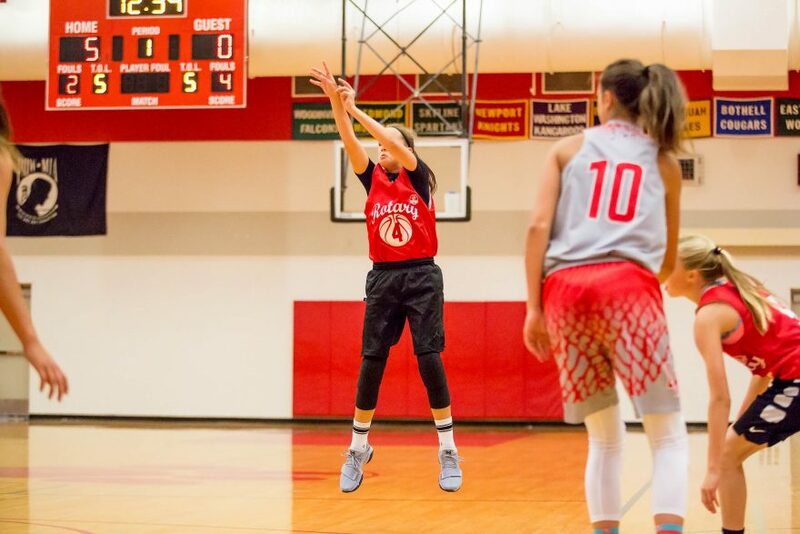 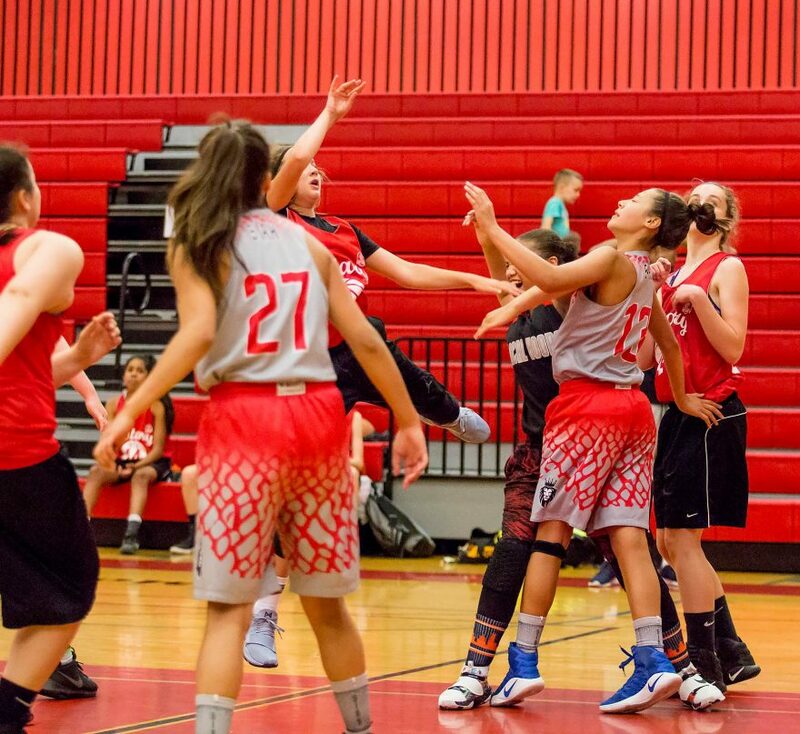 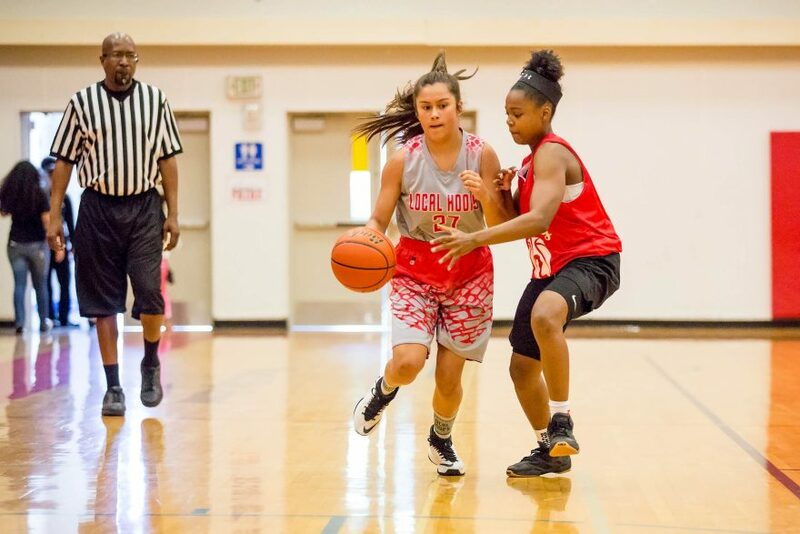 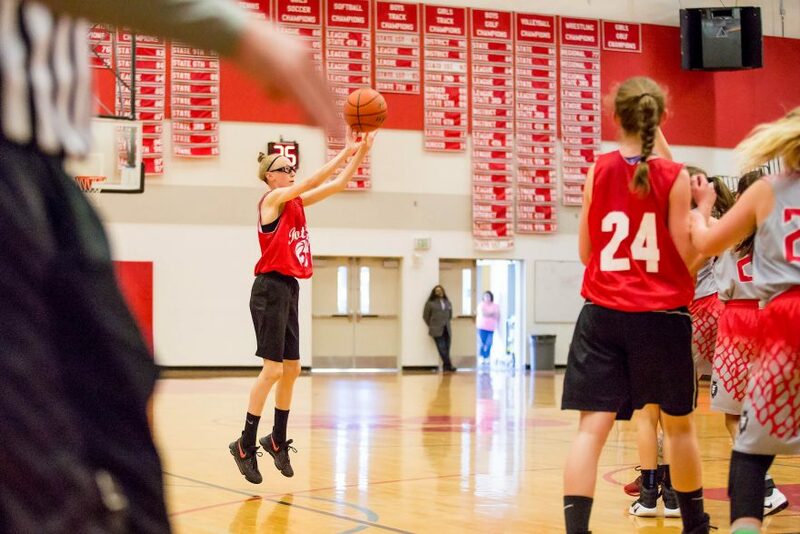 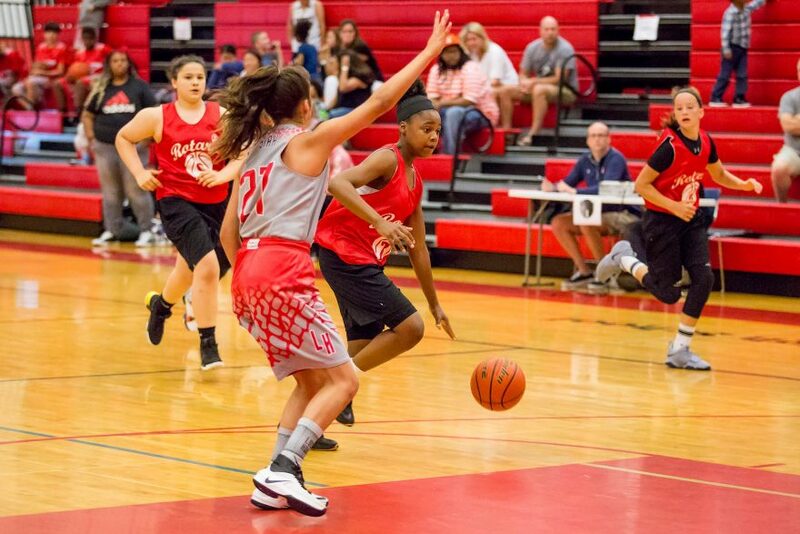 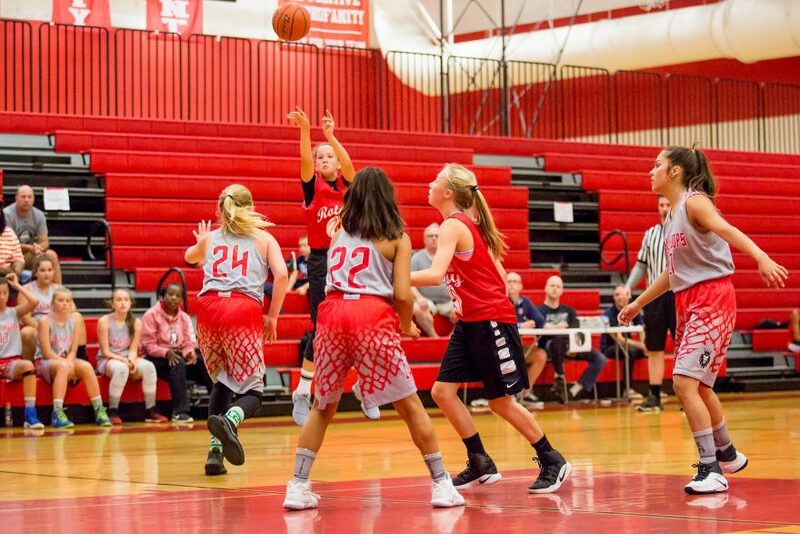 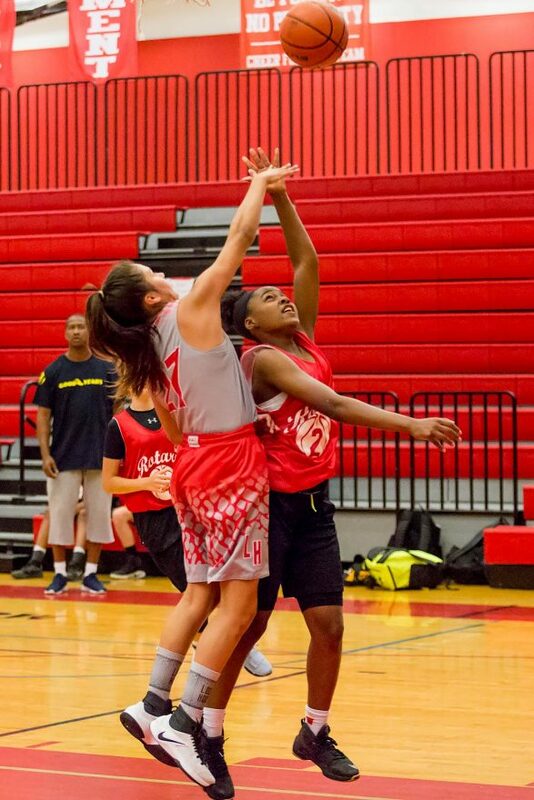 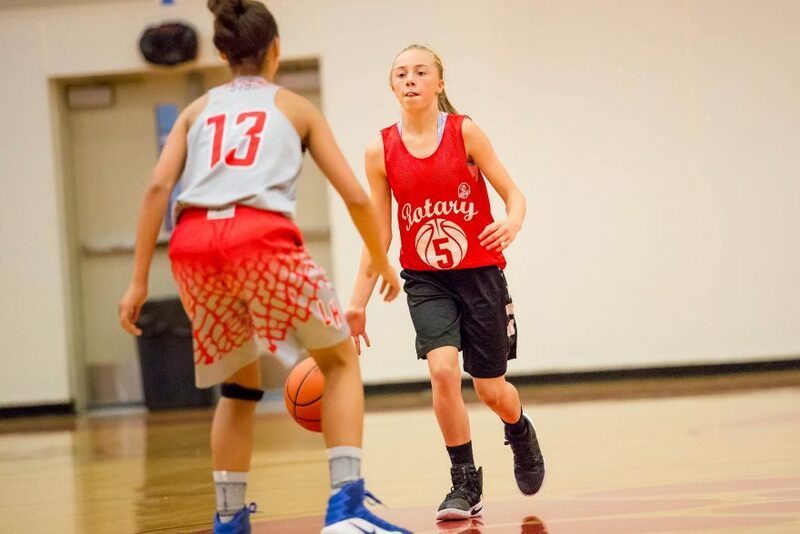 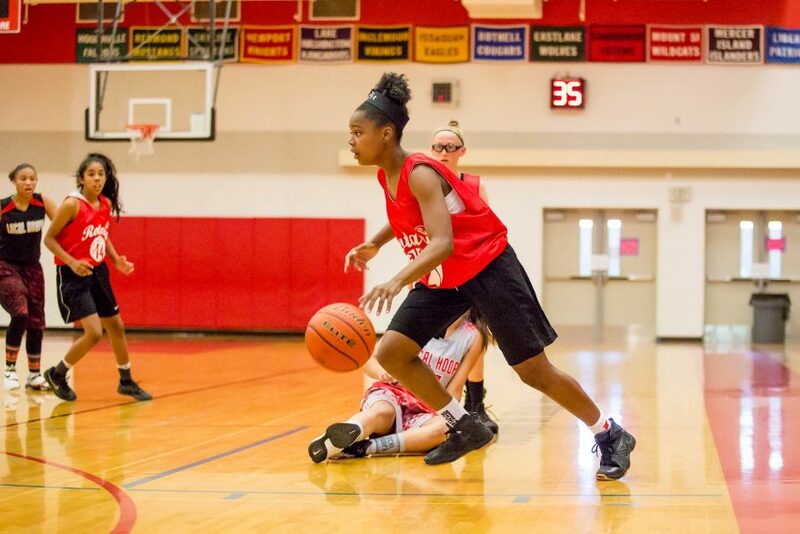 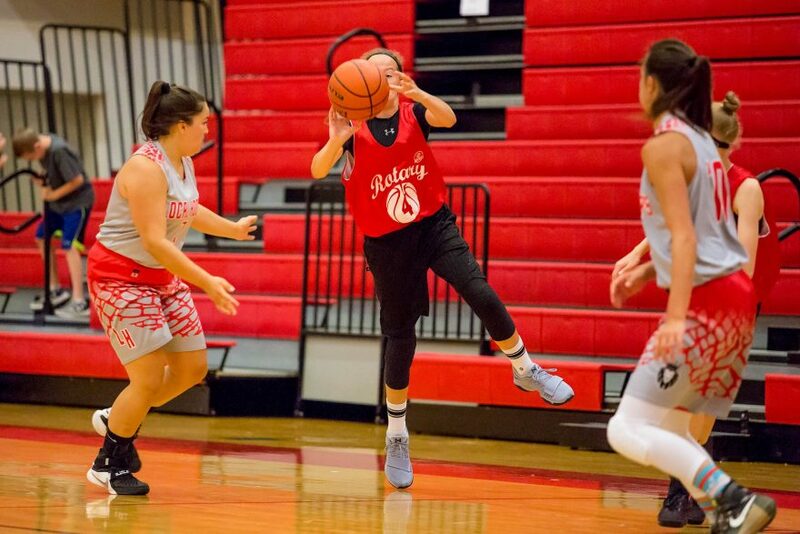 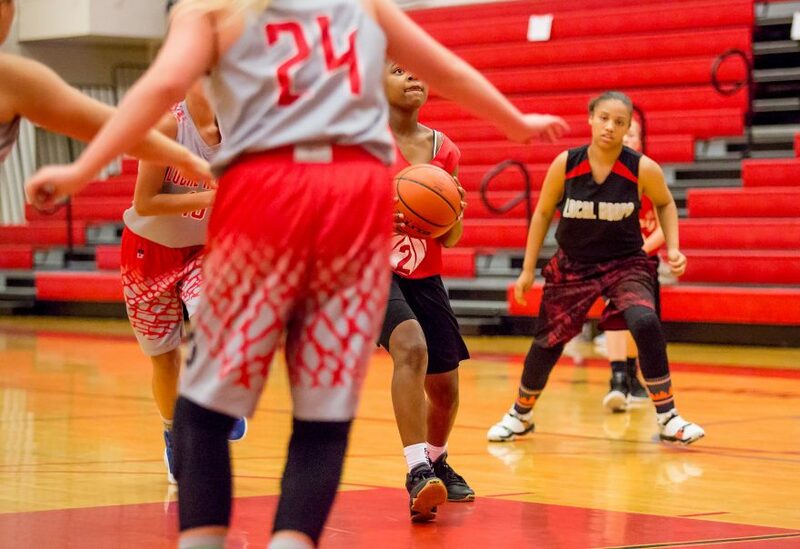 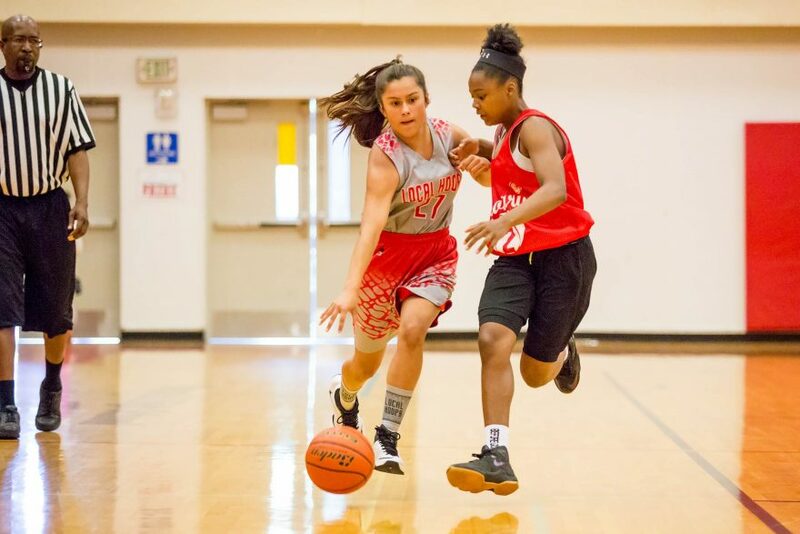 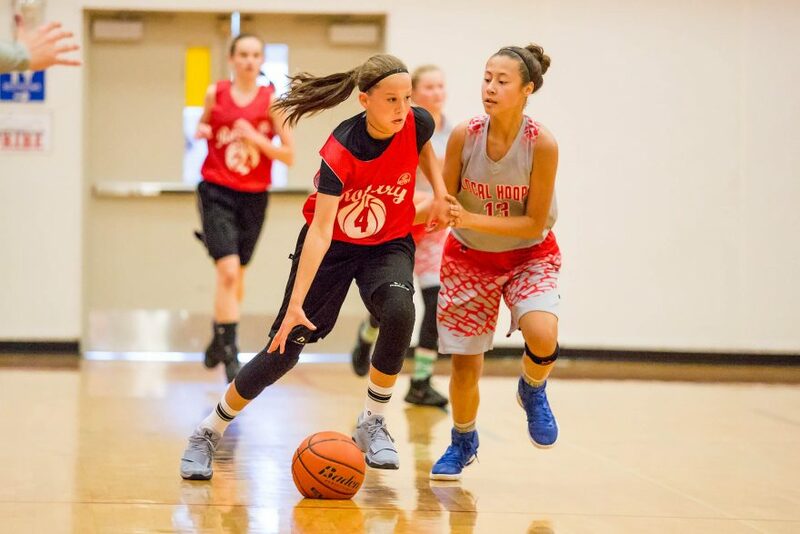 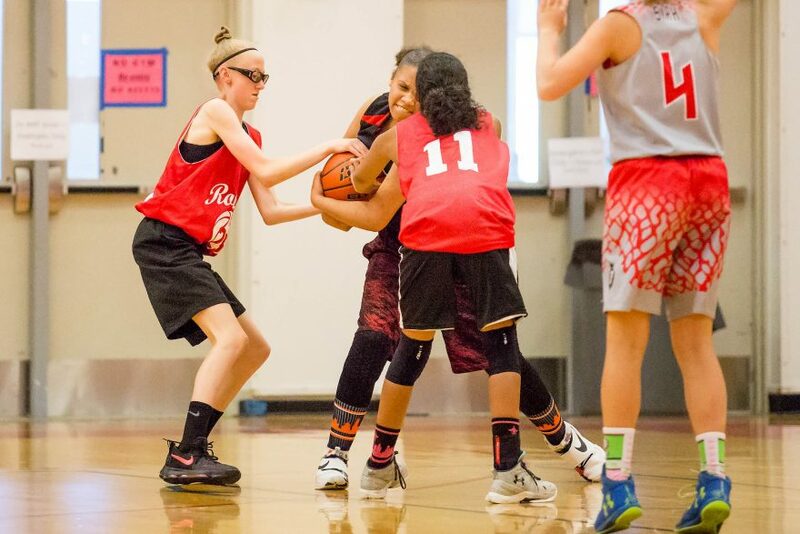 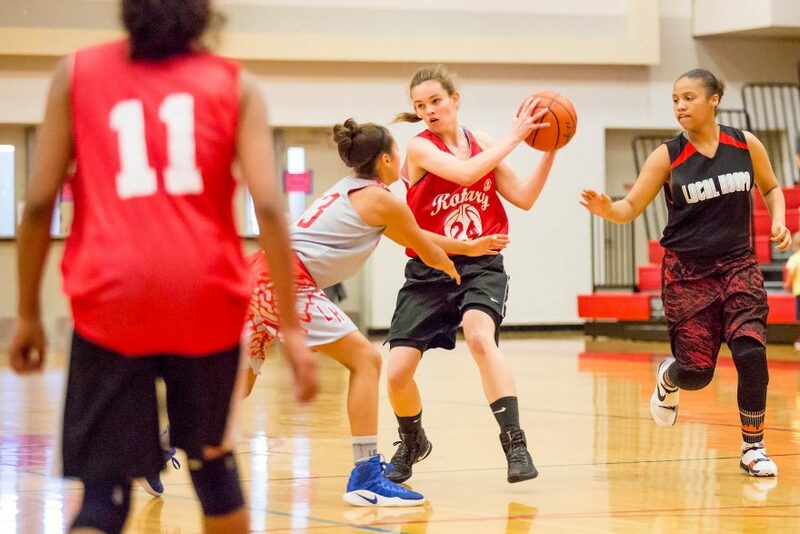 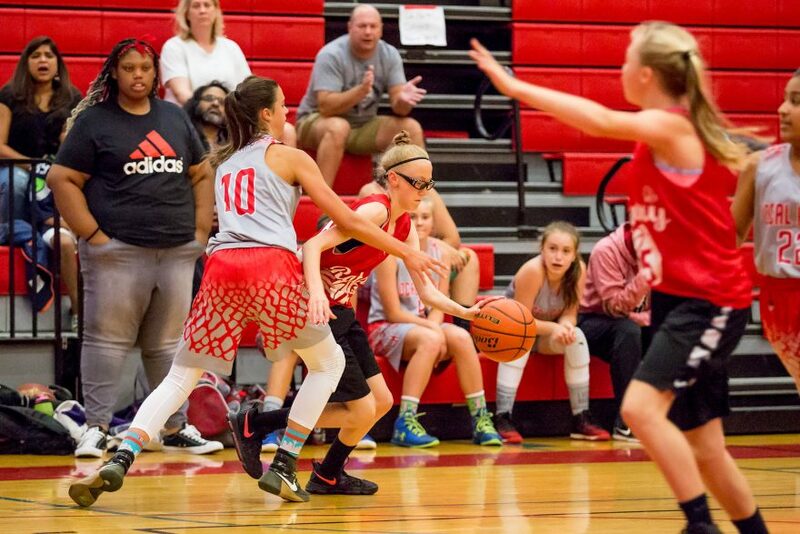 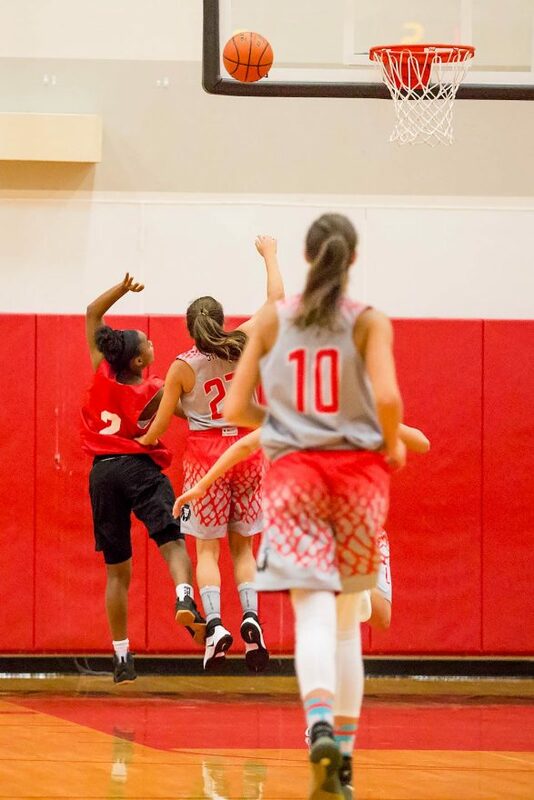 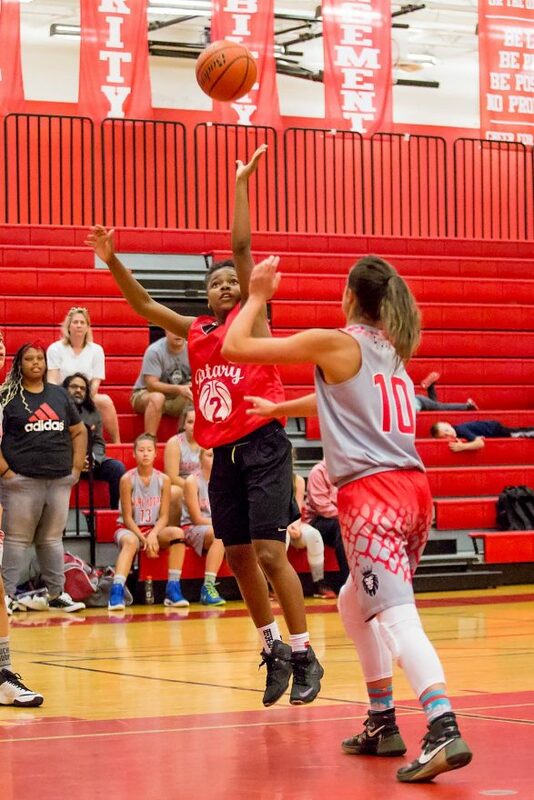 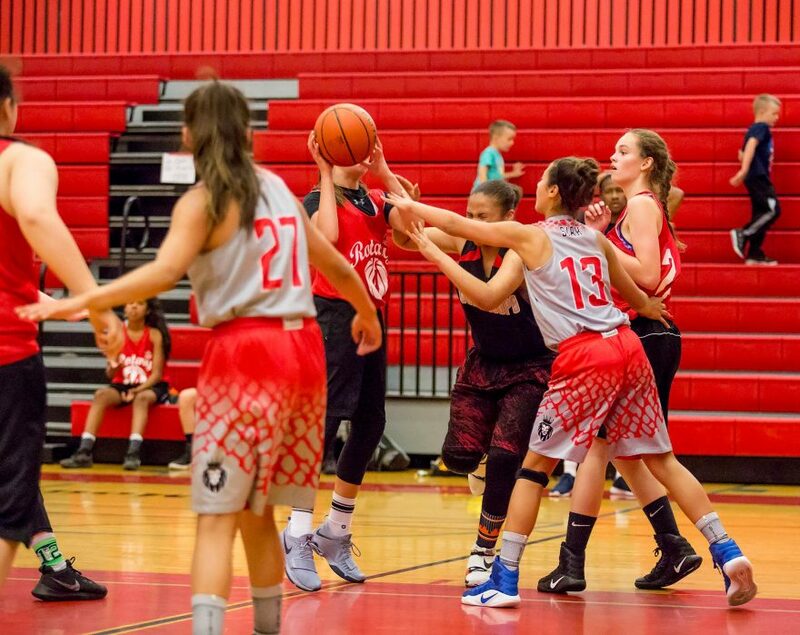 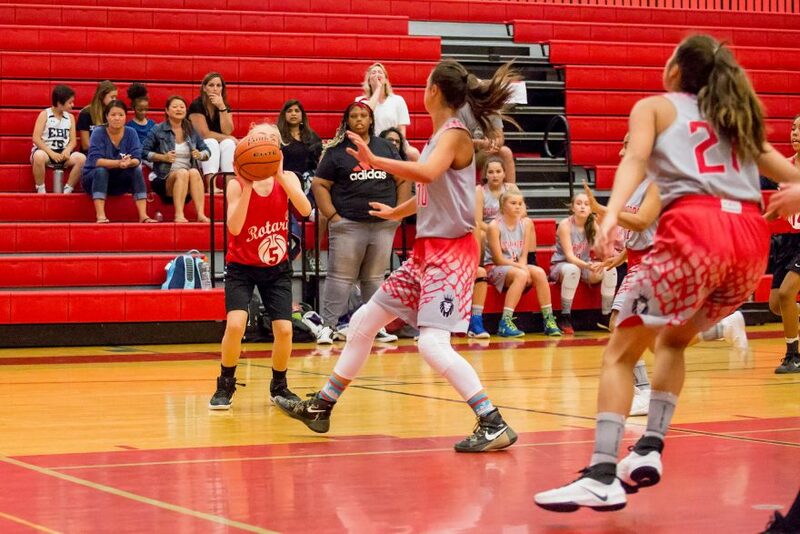 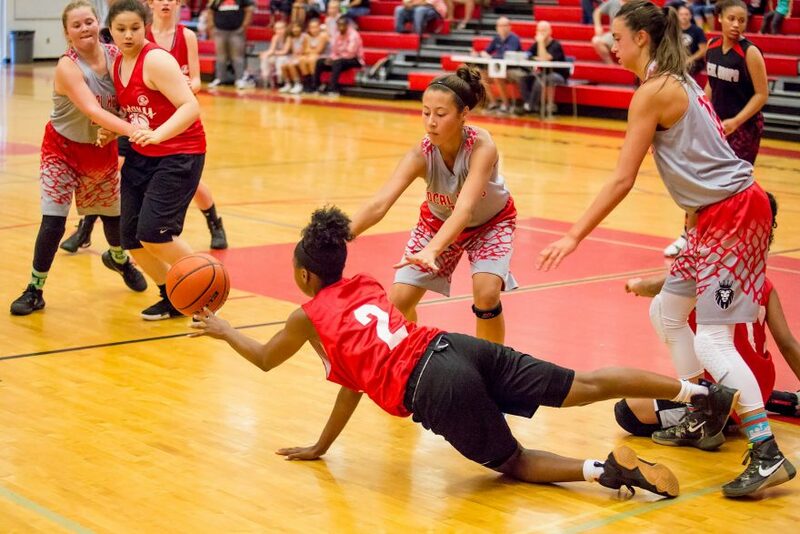 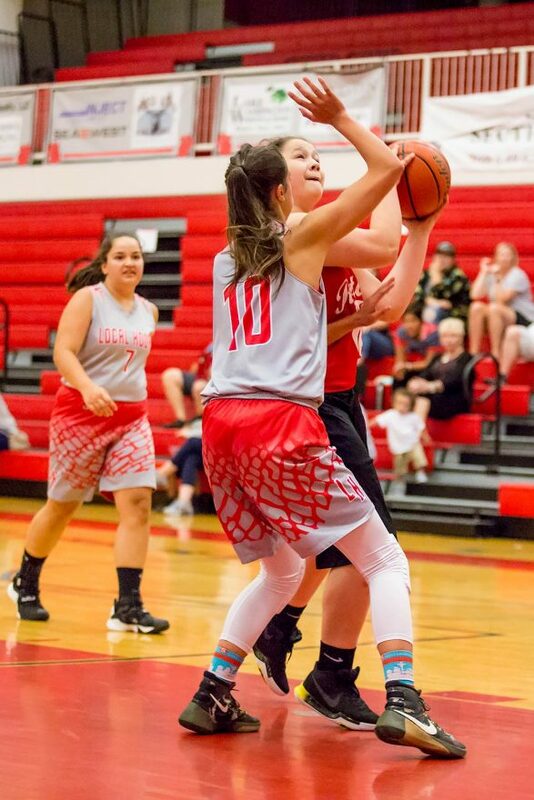 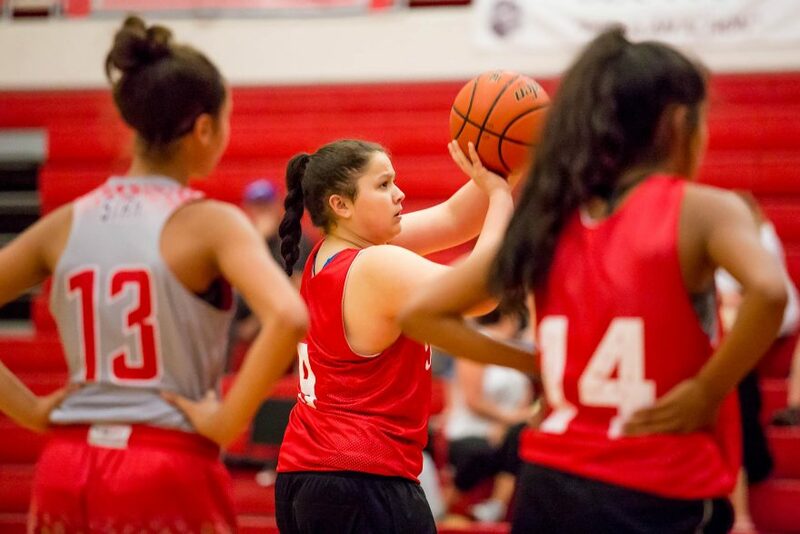 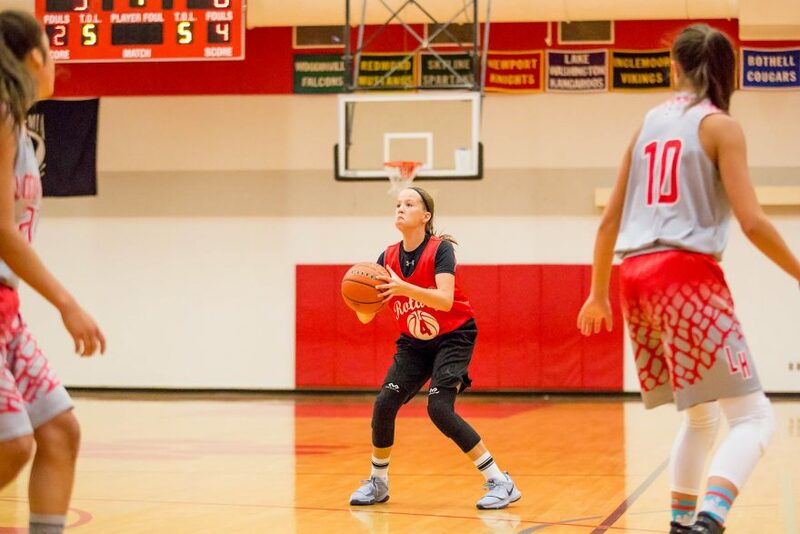 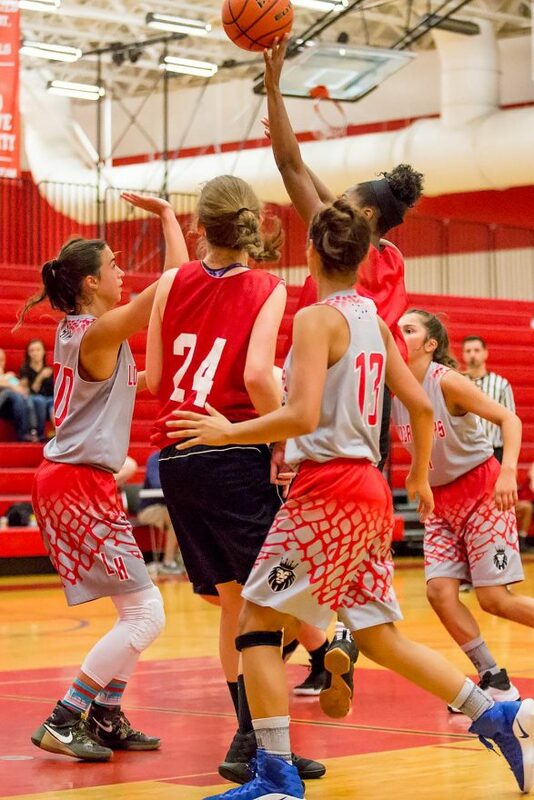 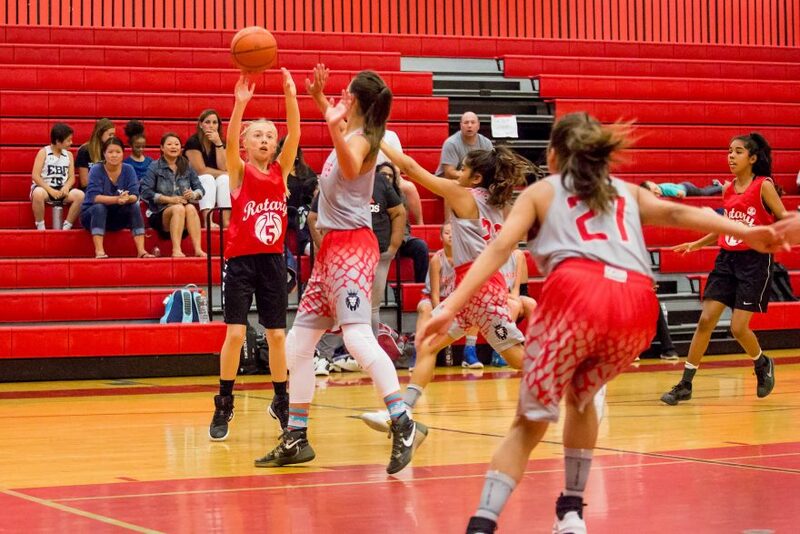 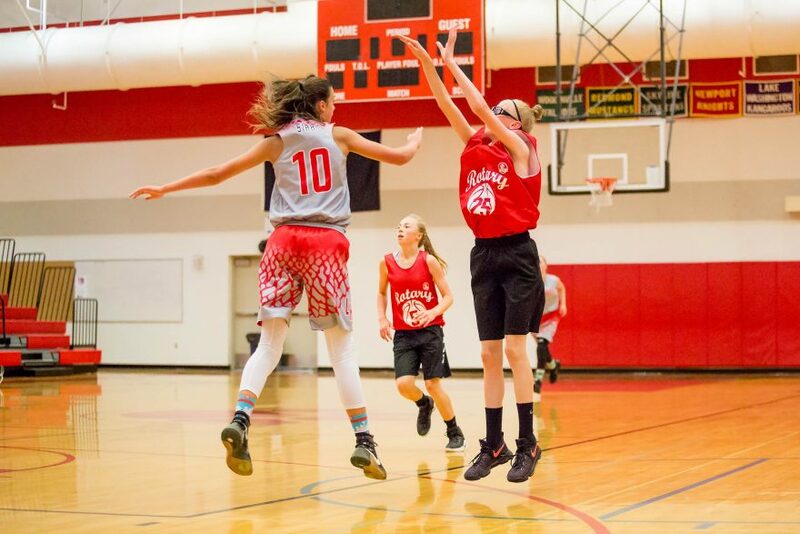 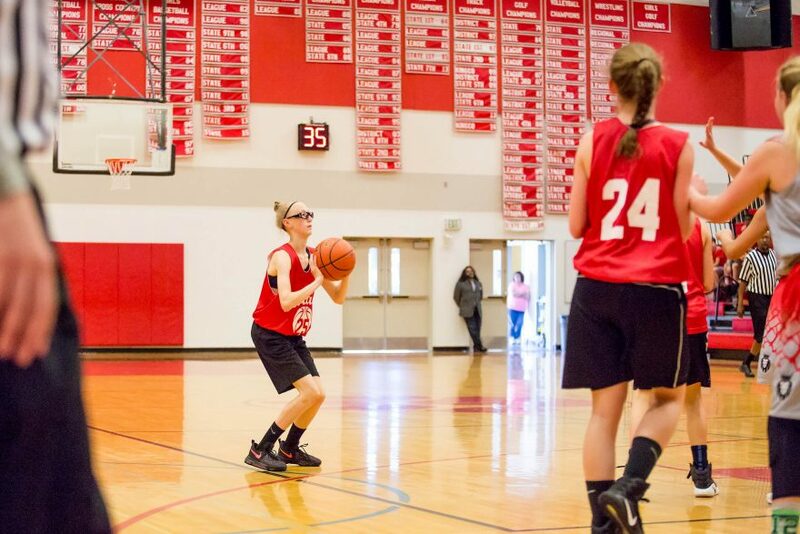 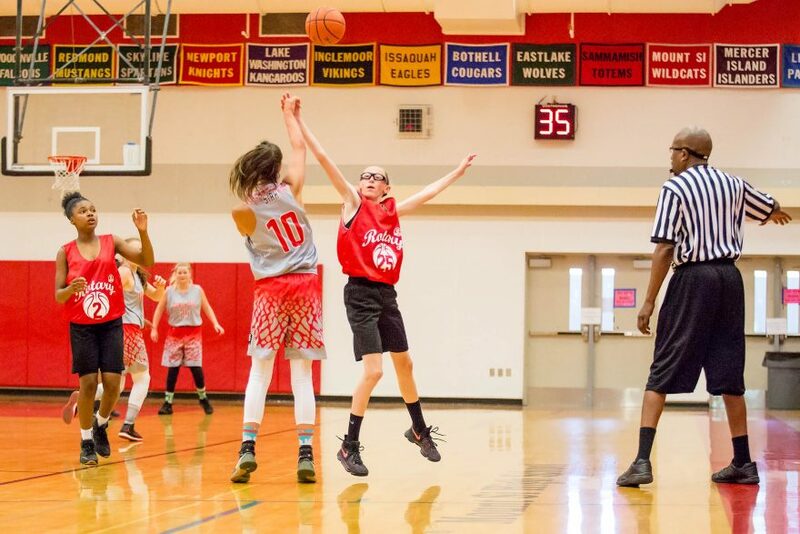 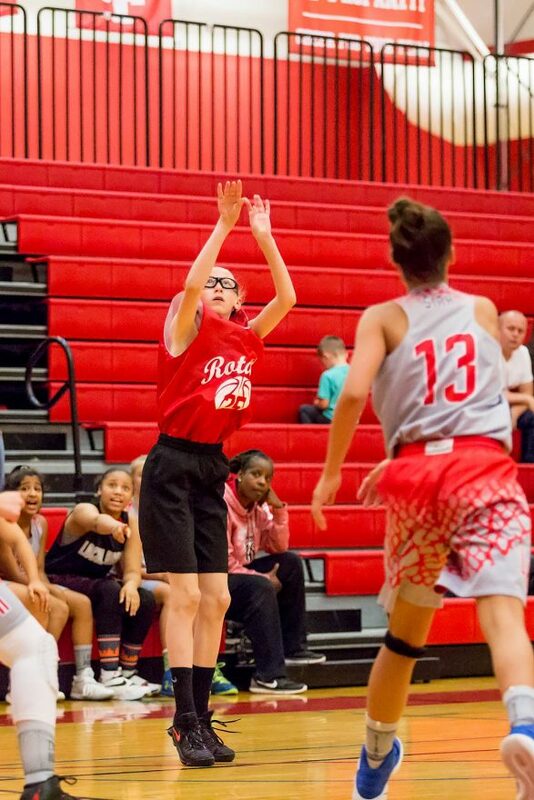 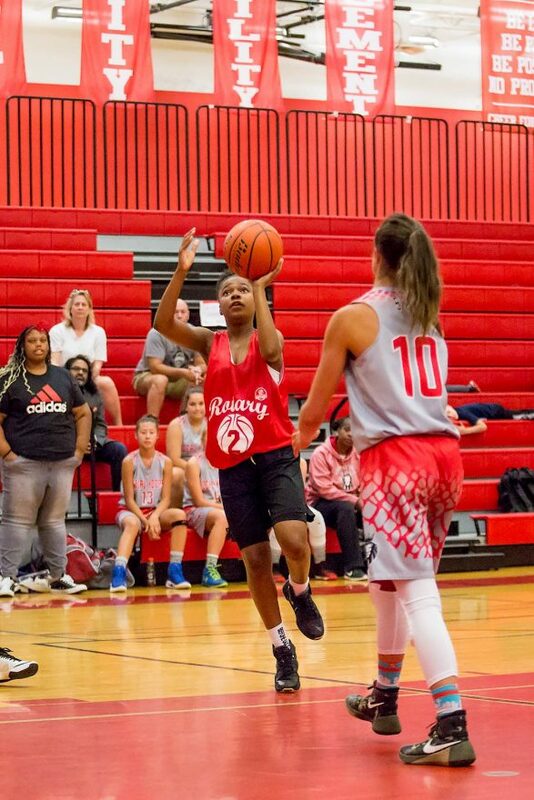 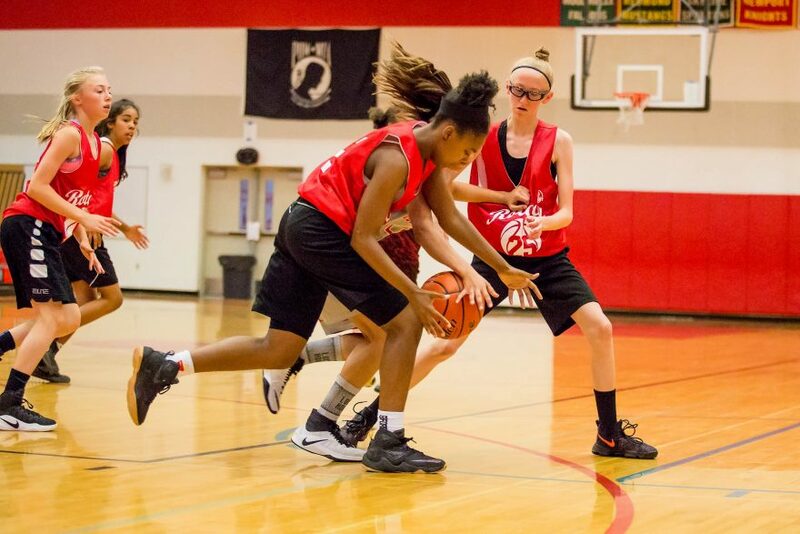 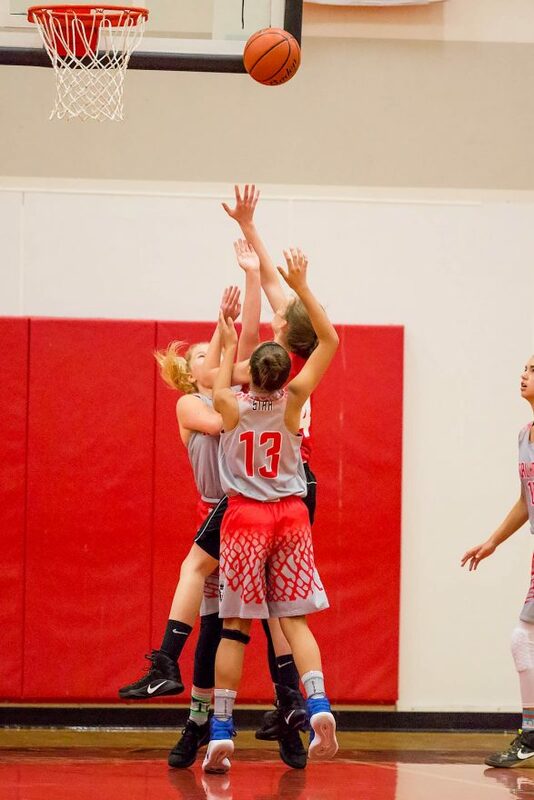 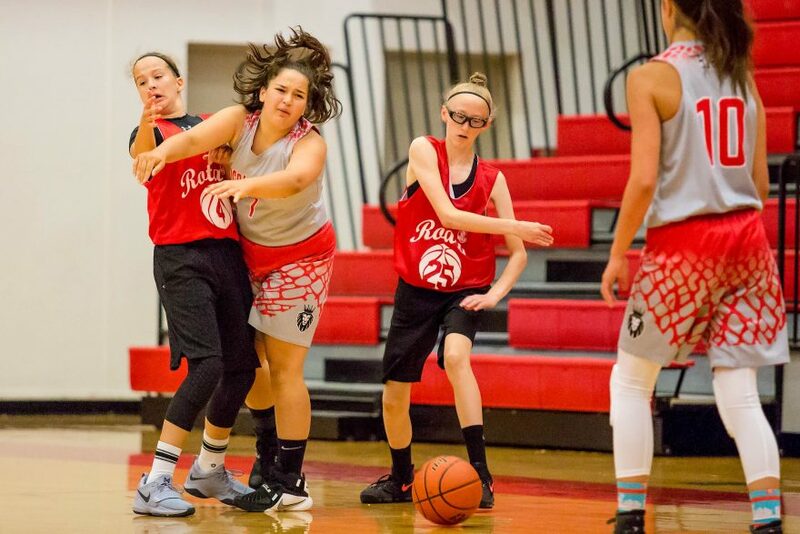 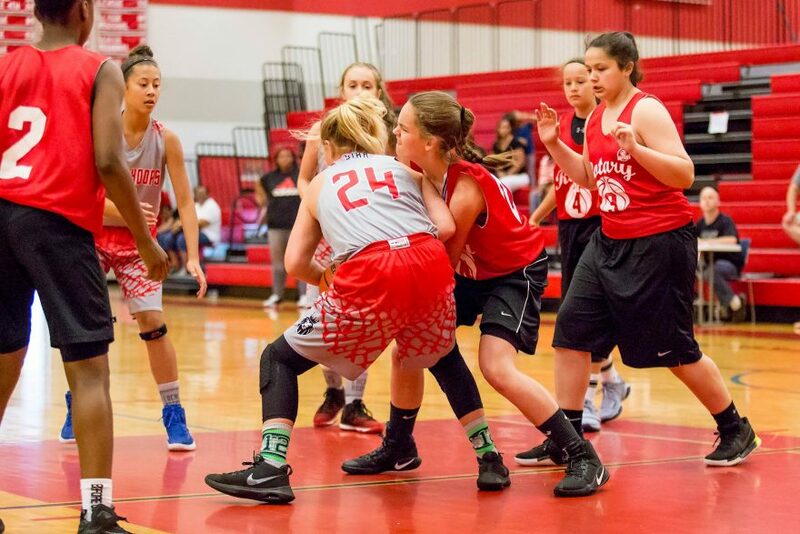 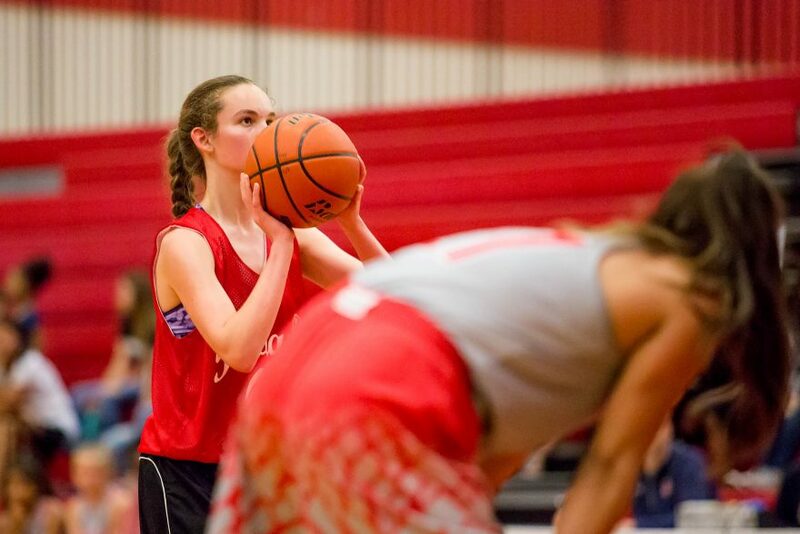 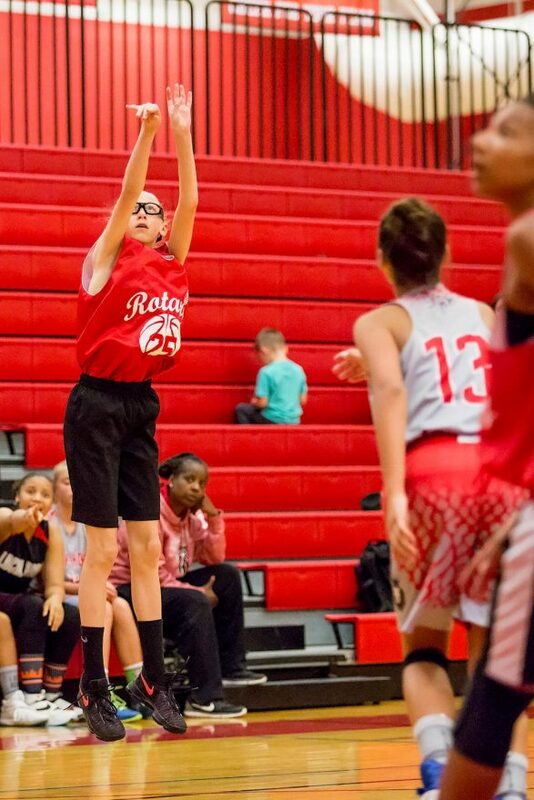 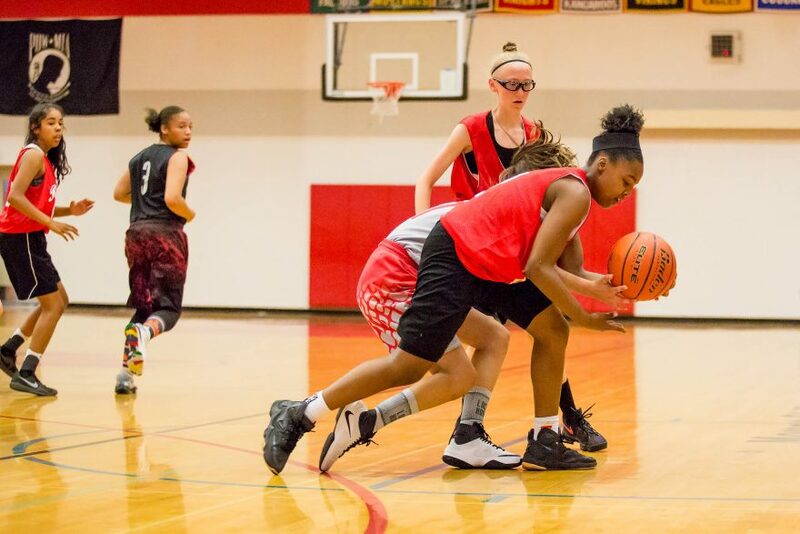 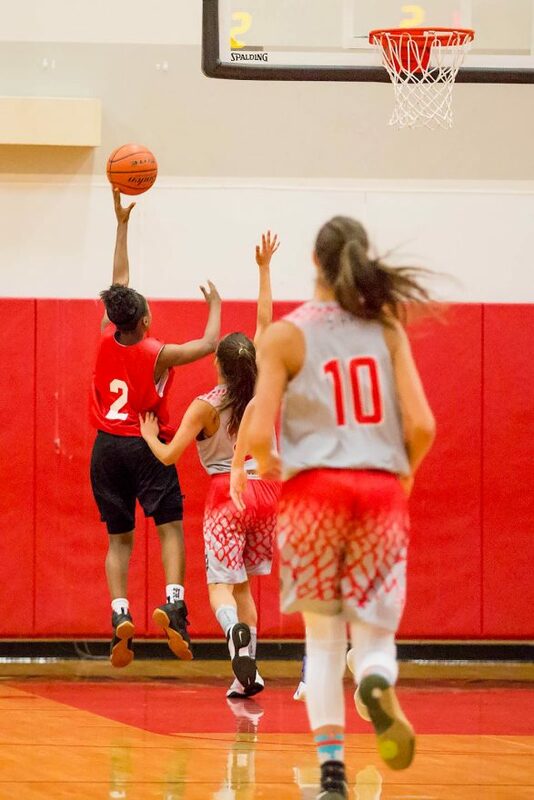 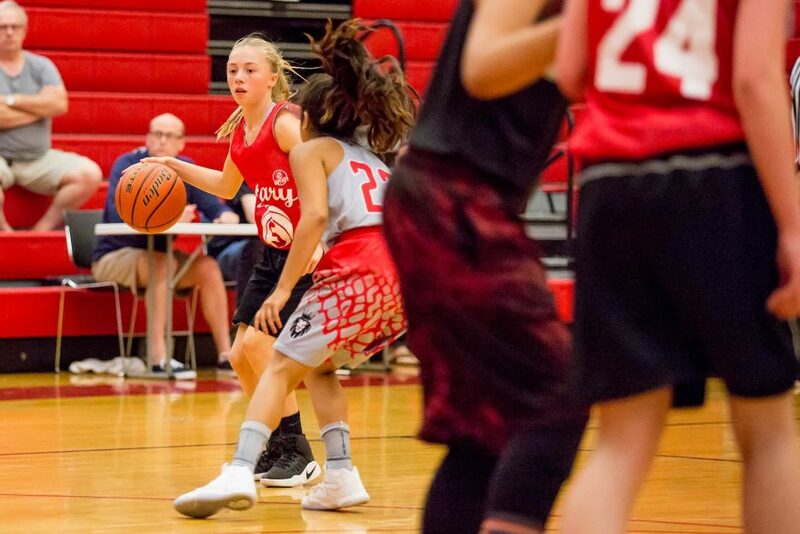 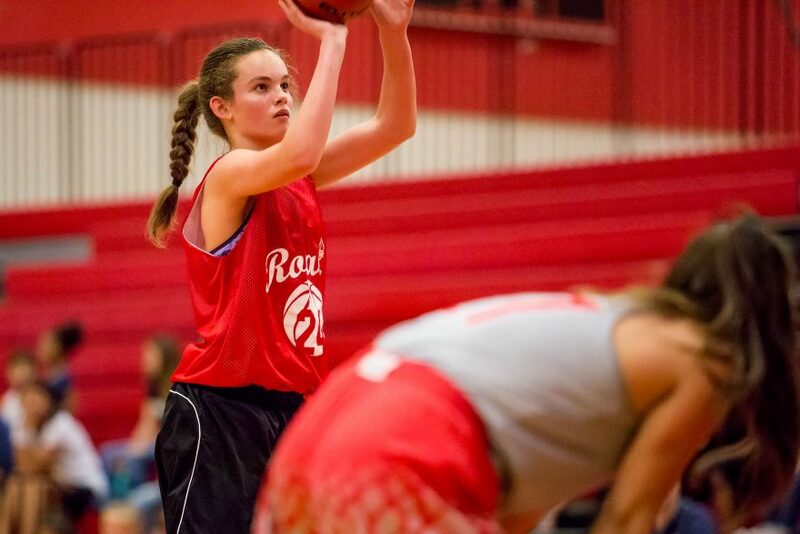 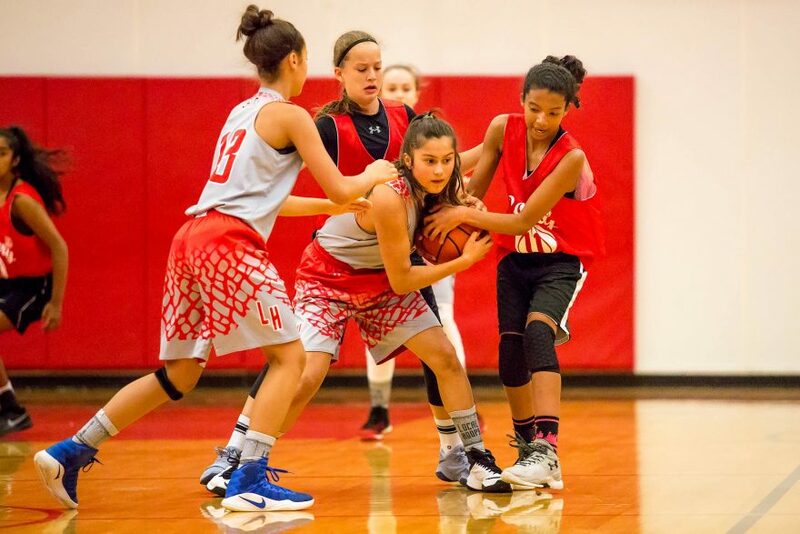 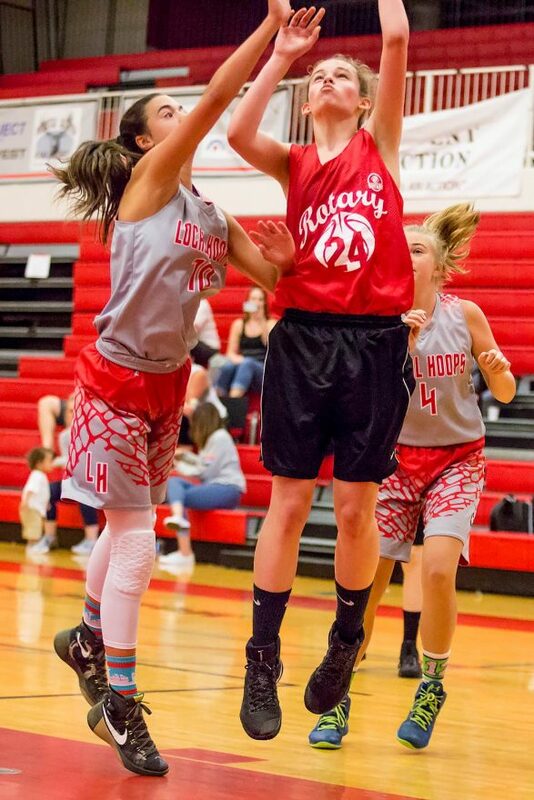 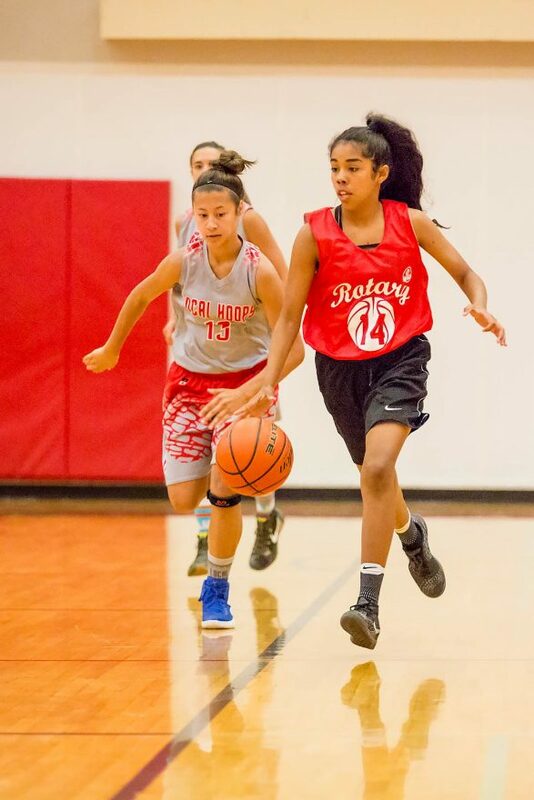 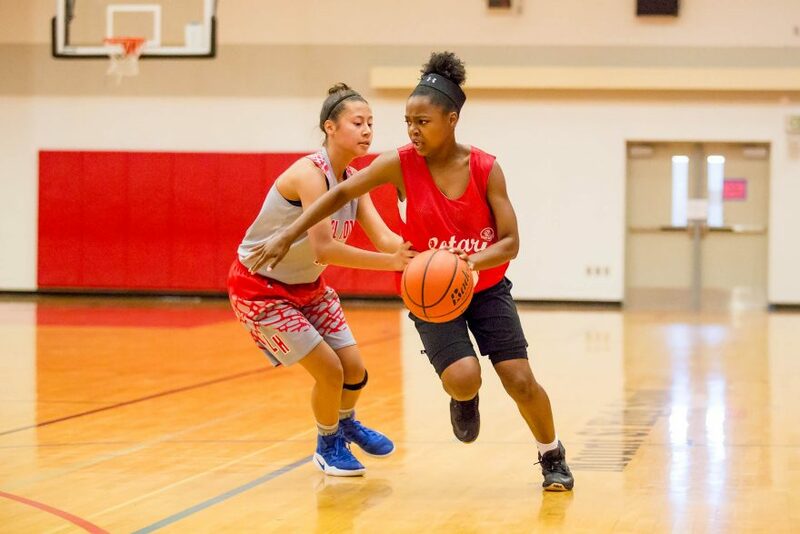 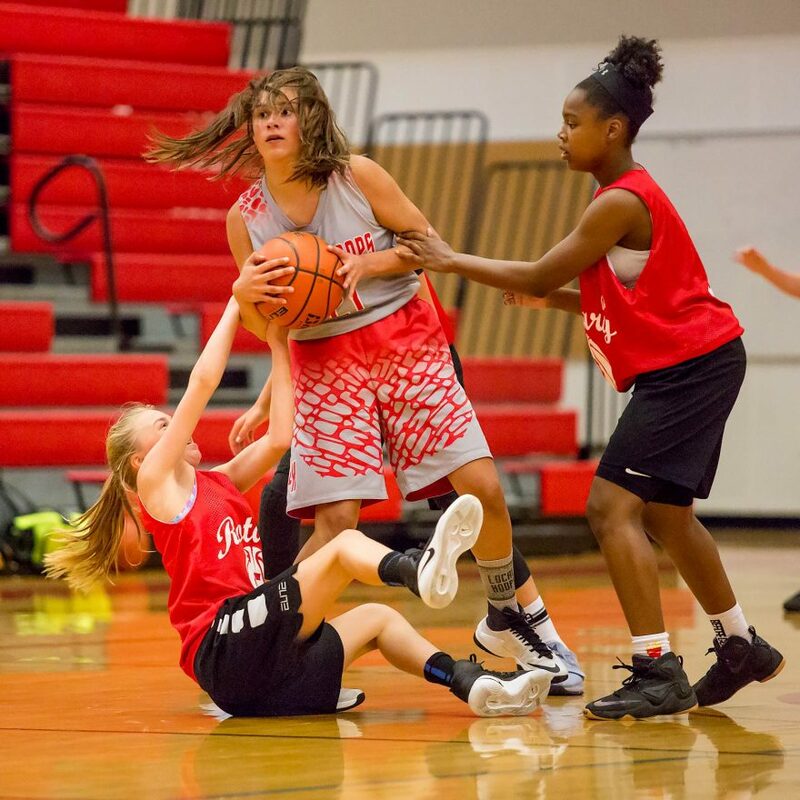 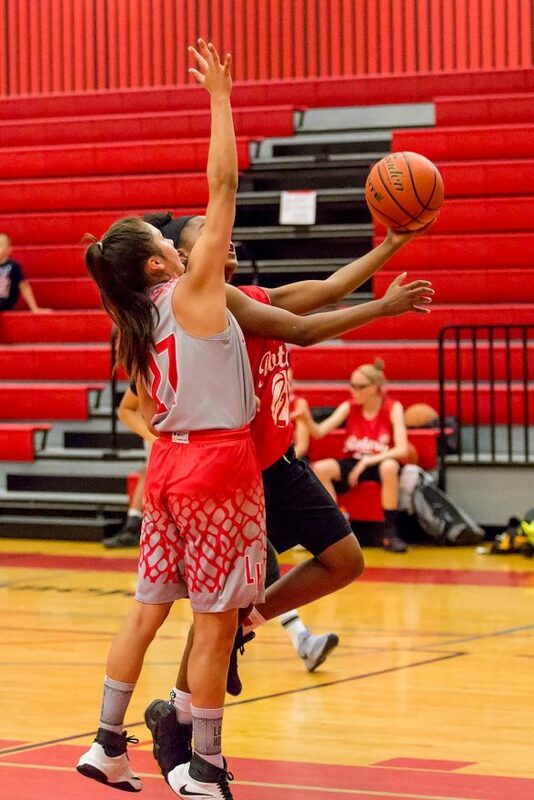 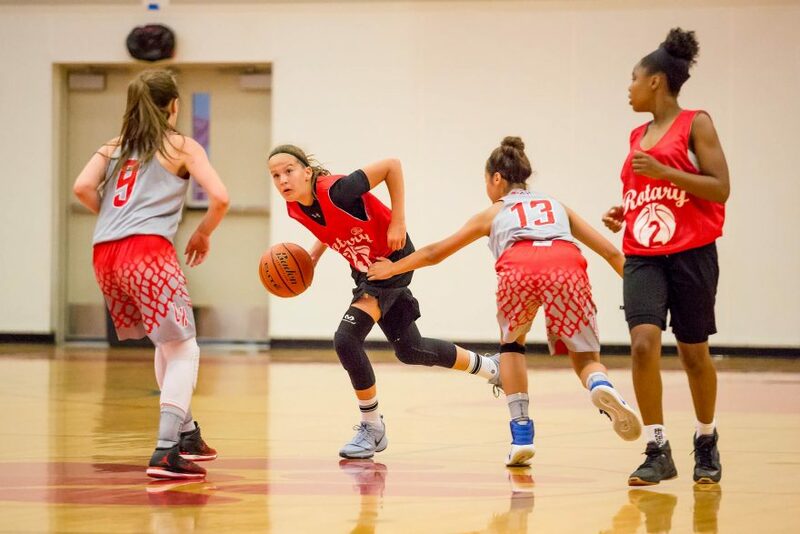 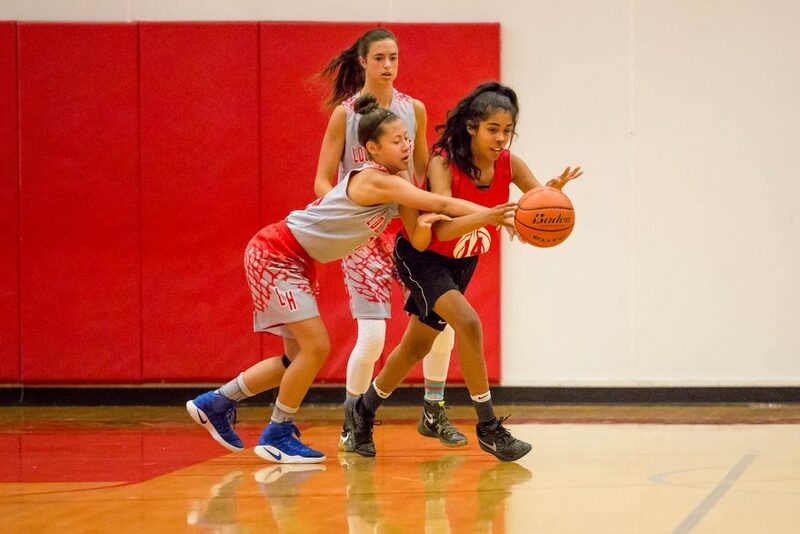 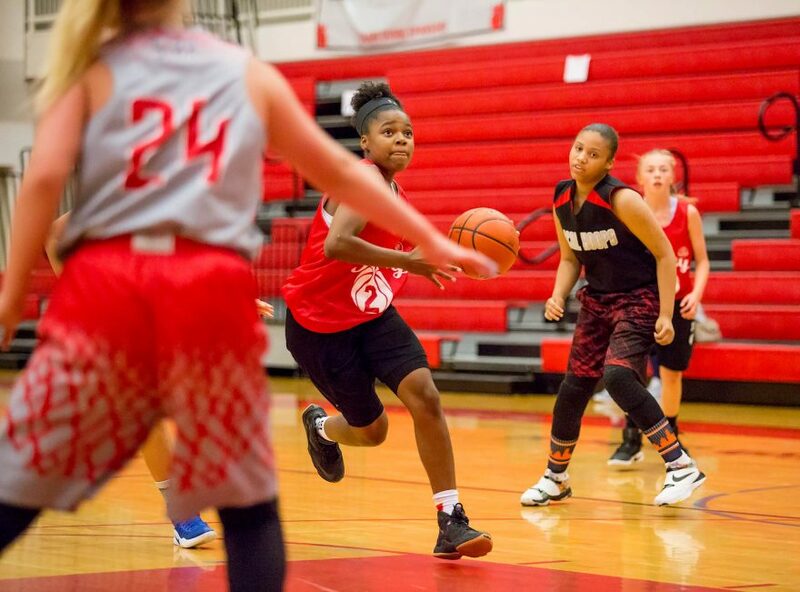 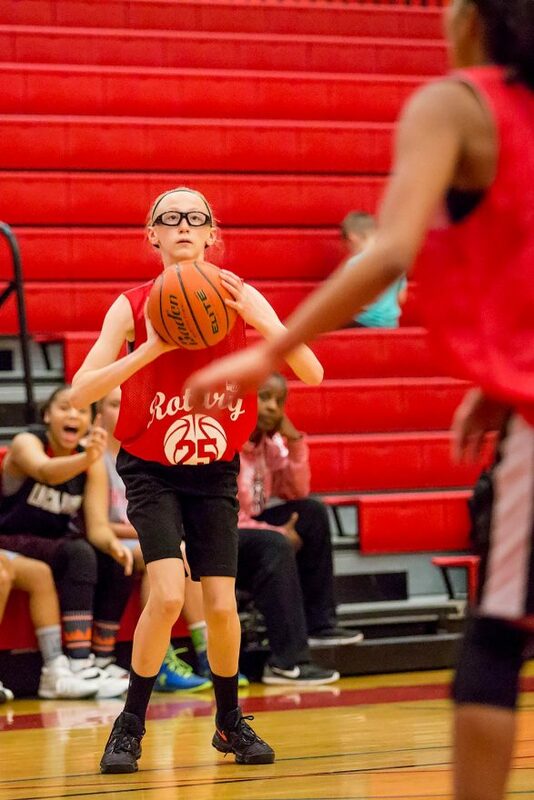 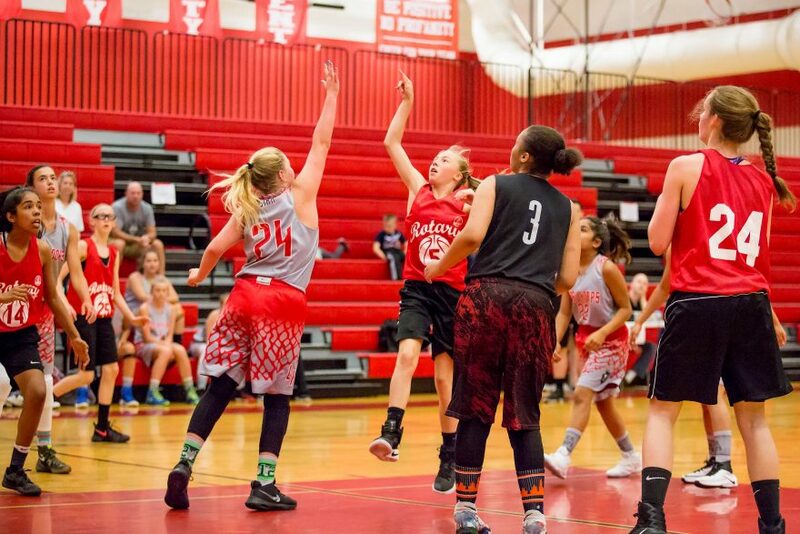 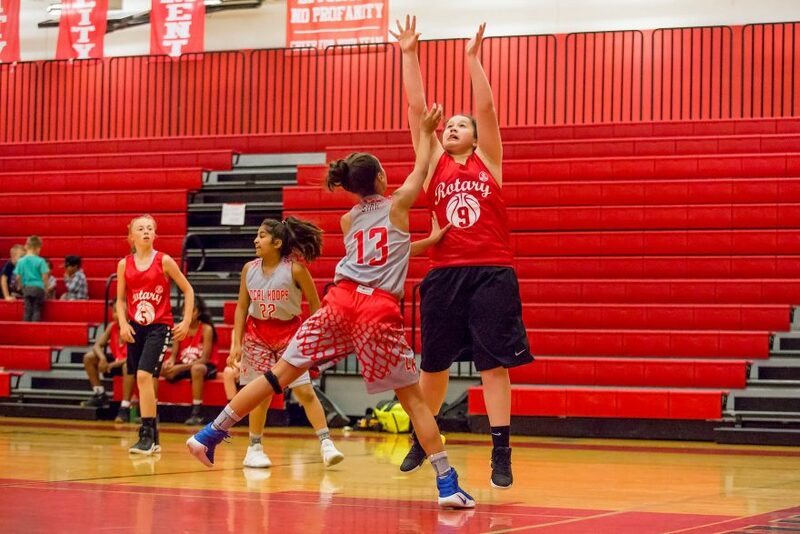 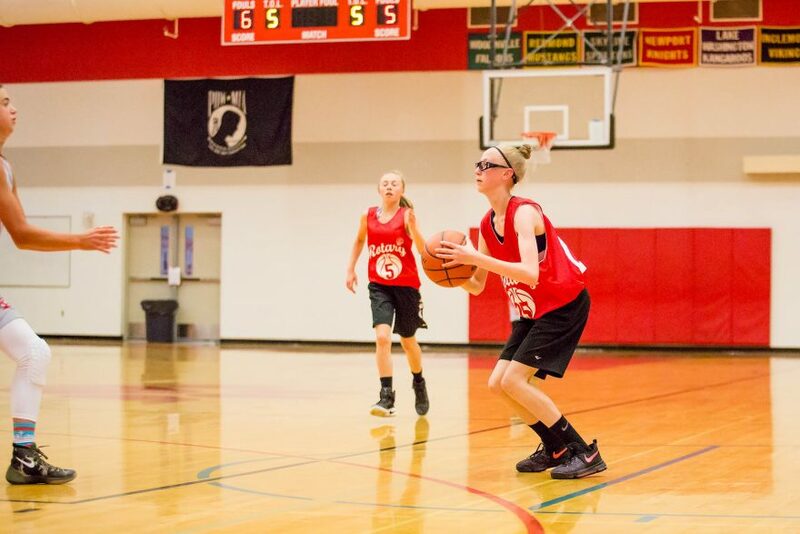 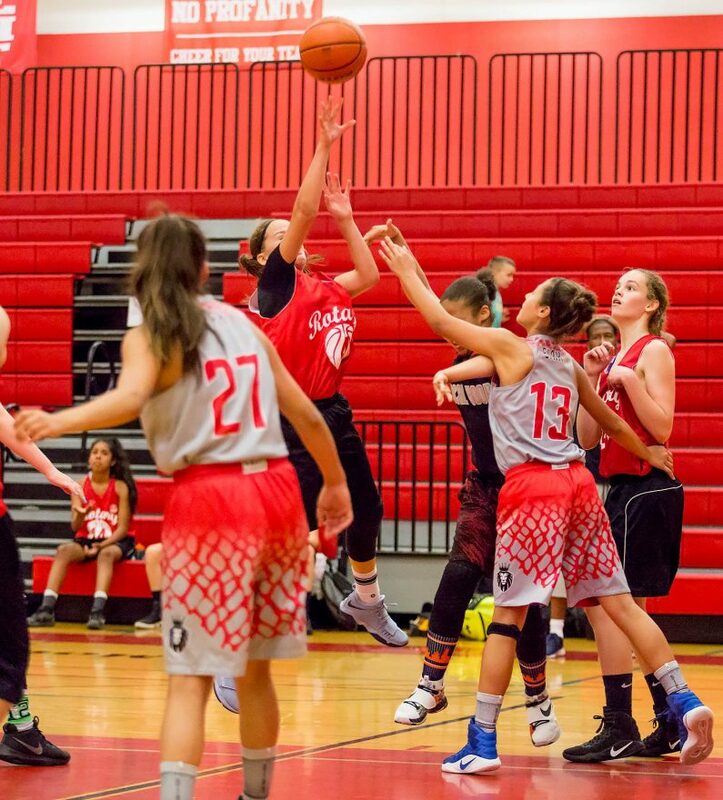 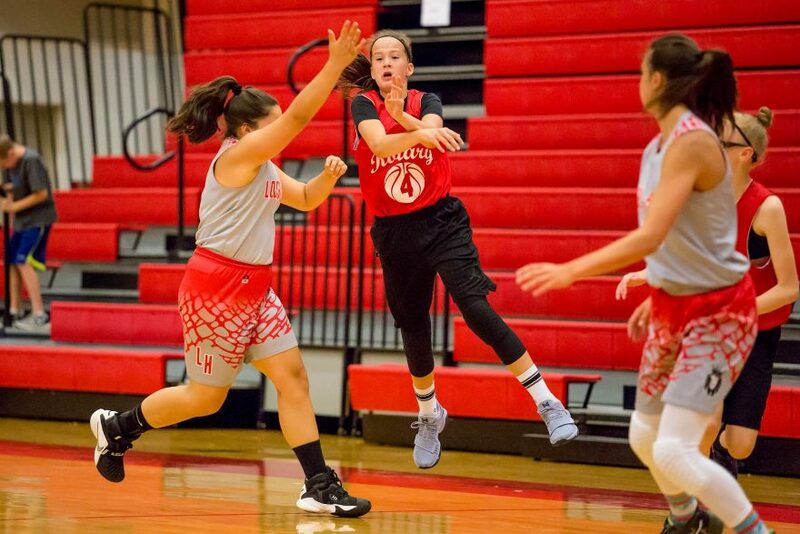 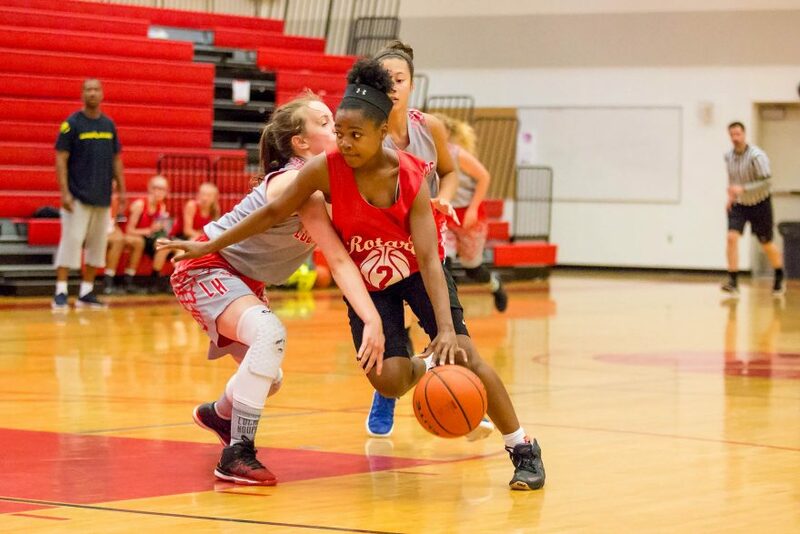 On Saturday afternoon the Lady Local Hoops 7th Grade team tipped off against Team Baisy (wearing red Rotary tops), both teams coming off a loss earlier in the day. 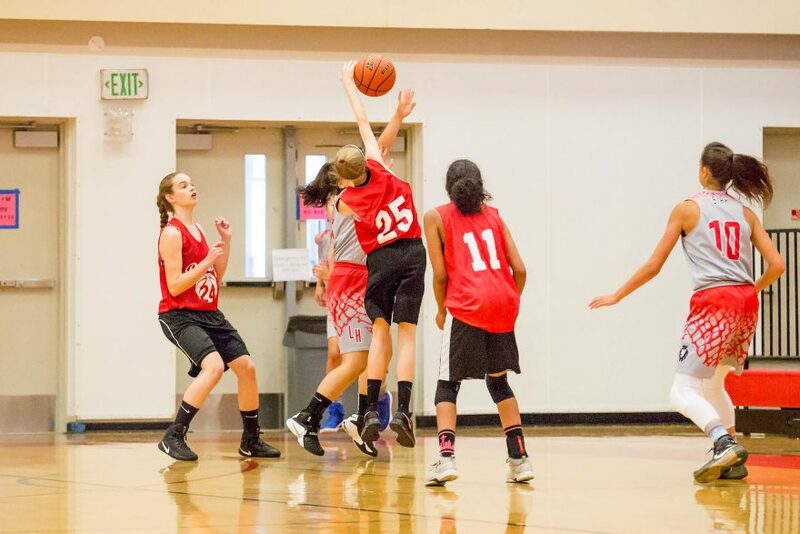 Playing ferocious defense all around, the girls held the score 0-0 until nearly four minutes into the first half, when the Baisy girls got on the board with a free-throw and then followed it with another a minute later. 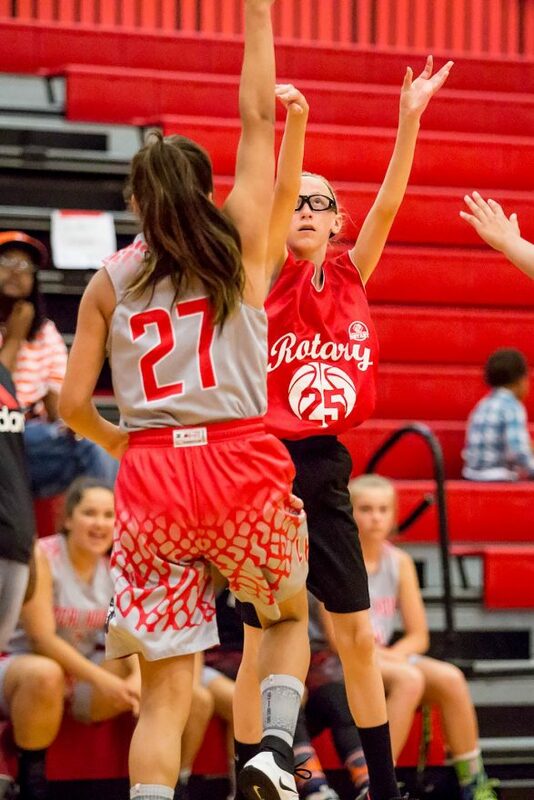 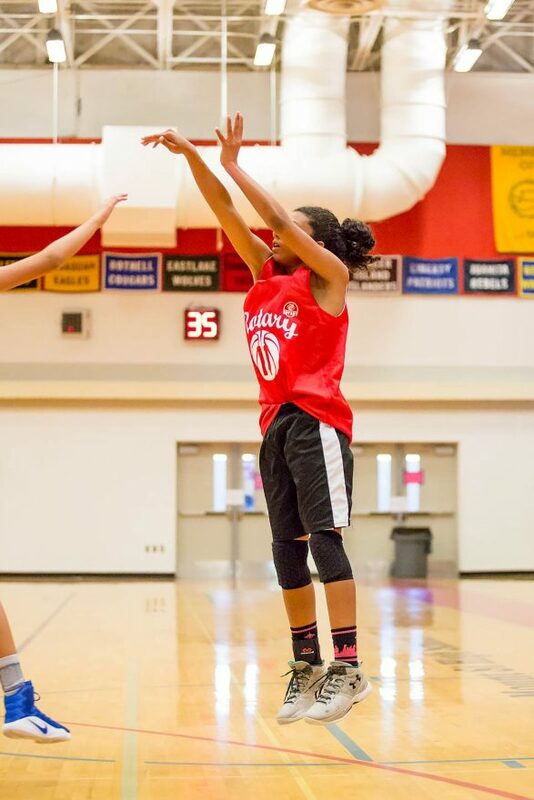 The first field goal in the game came from Baisy #25 with a clean three-pointer, the team pulling ahead 5-0. 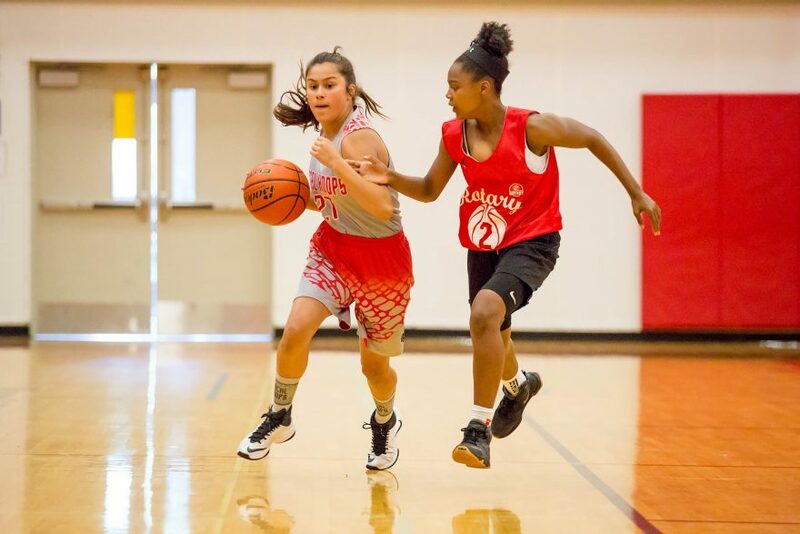 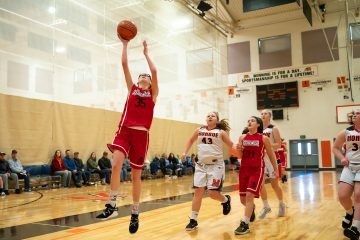 With eleven minutes to go in the half, Local Hoops scored their first two points and followed them up with a free-throw, but Baisy redoubled their efforts on defense and held the Hoops scoreless for the remainder of the half. 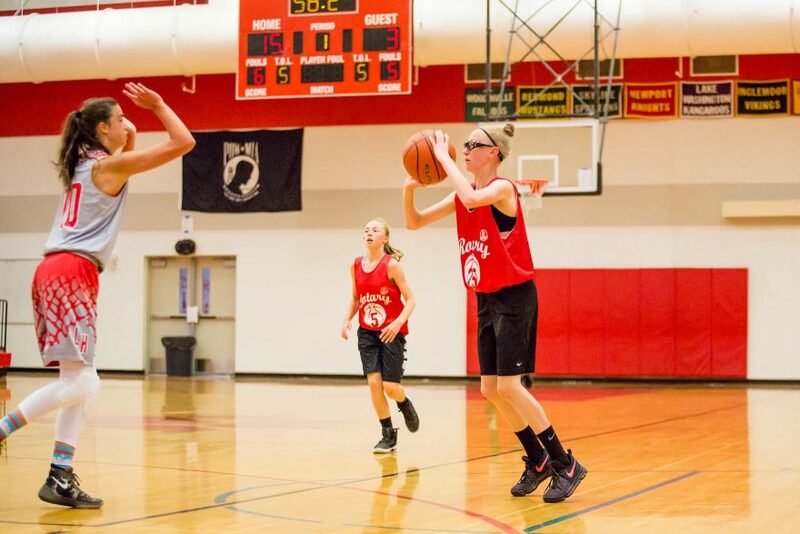 At halftime, the score was 18-3. 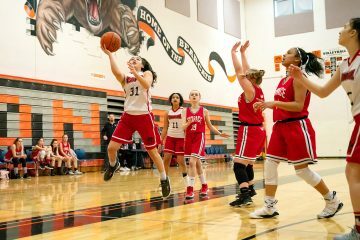 In the second half, a refreshed Local Hoops team hit the floor on offense and quickly added six points to their score. 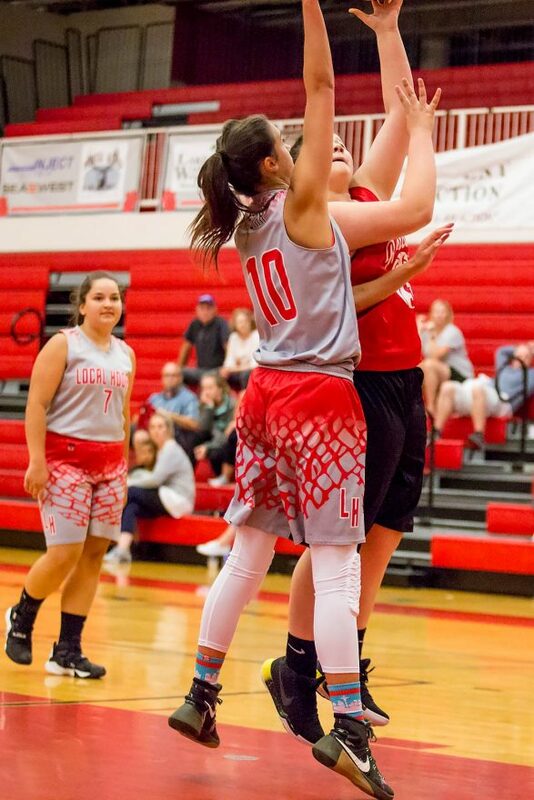 Matching and then surpassing their pace, the Baisy girls added eight points during the same time, bringing the score to 26-9. 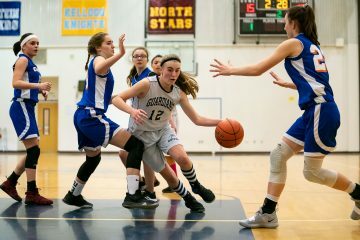 In the final ten minutes of the game, the Local Hoops four additional points were not enough to catch up to their surging opponents. 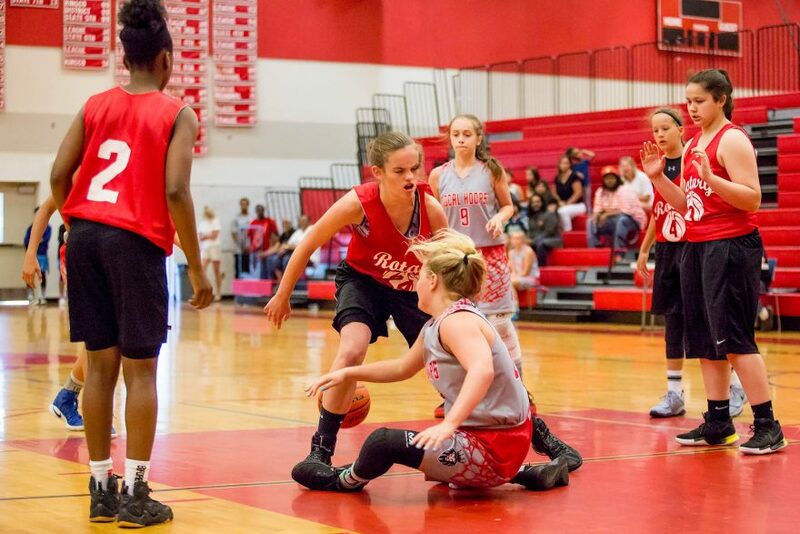 Final Score: 37-13, Baisy.